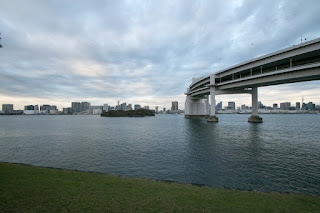 Shinagawa Daiba Forts (品川台場) are land and sea batteries built from current Shinagawa area to Odaiba area, across the sea route along with the coast. 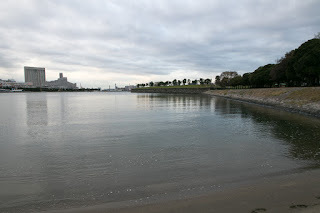 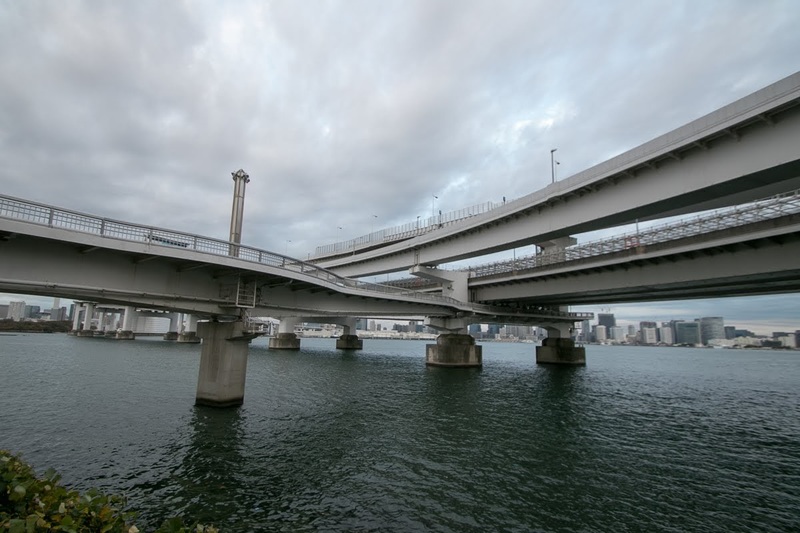 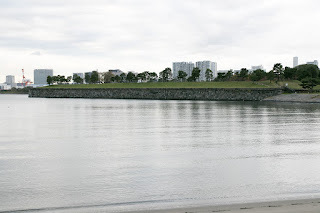 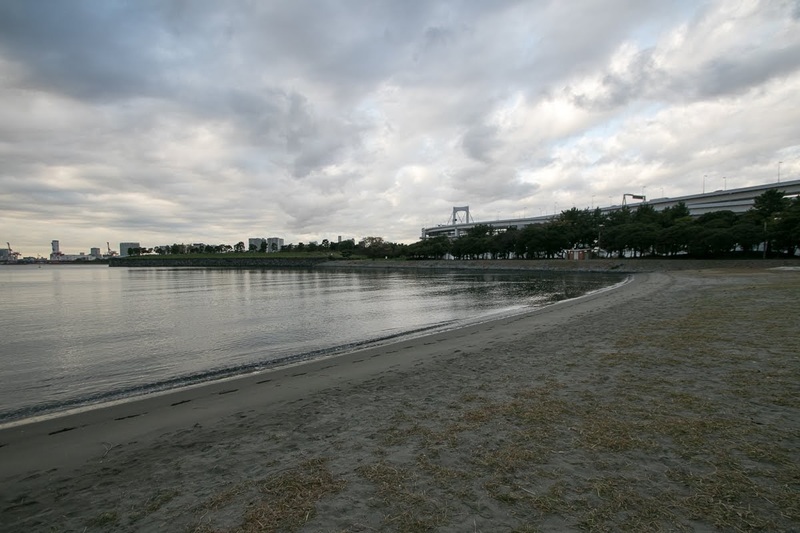 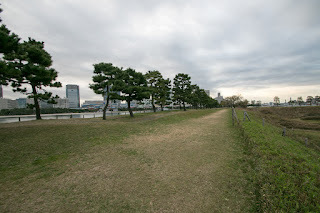 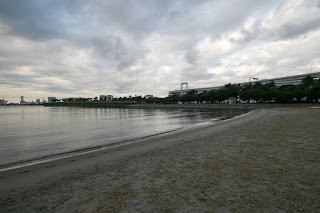 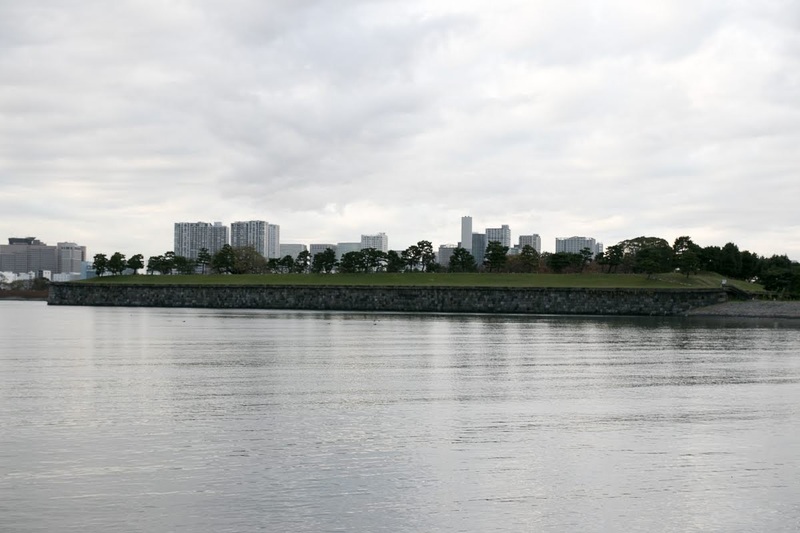 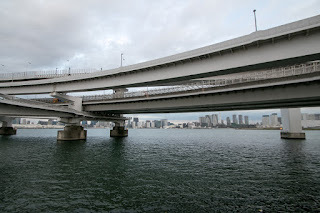 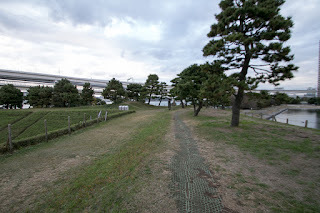 As the place is the narrow straight between the coast and shallows now reclaimed and changed to the reclaimed lands, the line of batteries resembles to current traffic lines connect the main land and reclaimed lands such as Rainbow Bridge or Rinkai Line Railway or Shutoko Expressway Wangan Line. 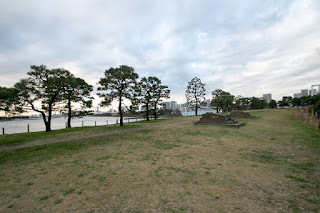 Historically Western large nations did not have their capital at coastal area, although port town was the center of the economy. 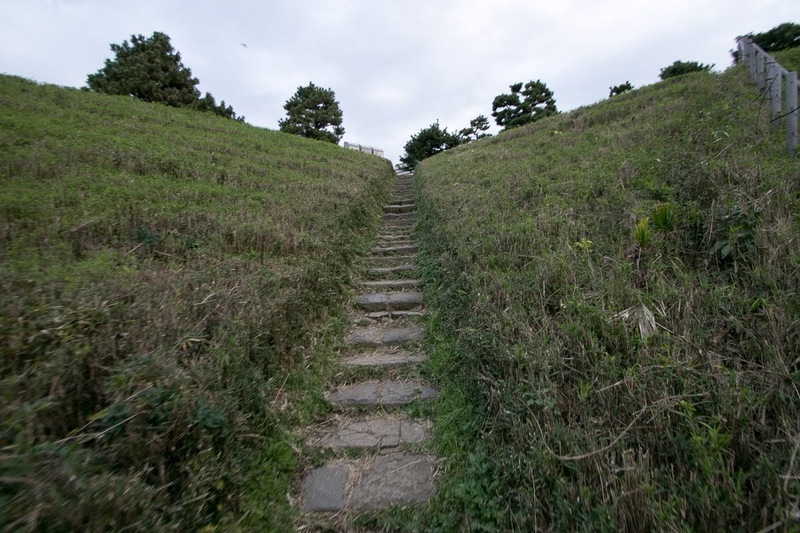 Of course it might be affected its geographical condition to reign whole of the nation, but it also might feared attack from the sea, such as ancient Vikings. Exceptionally Portuguese or Scandinavian nations have their capital along the coast, because of limited flat land and populations. 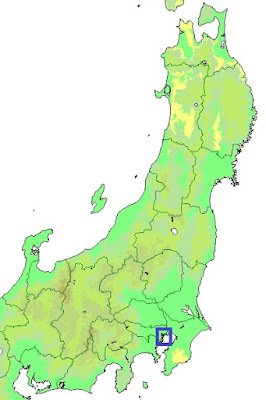 In Japan, historically it capital had been at inland areas such as Asuka area, Nara area or Kyoto area, except for short term period held at Osaka area. 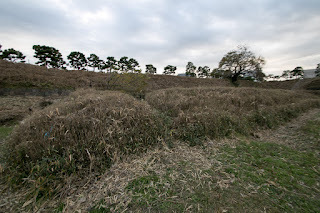 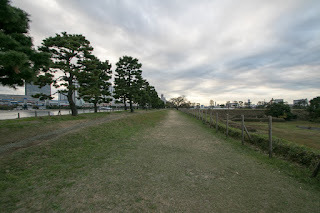 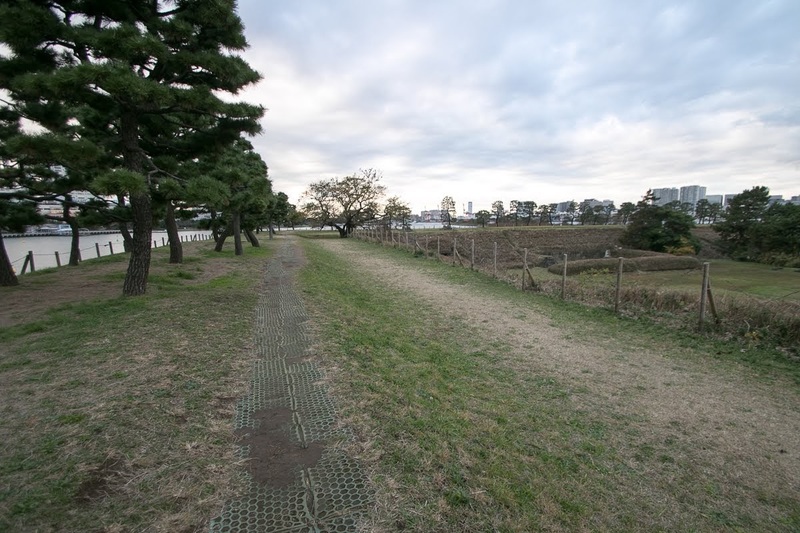 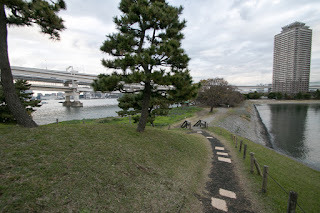 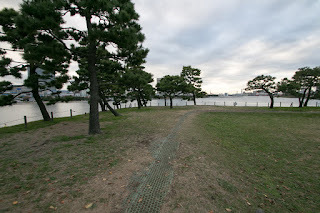 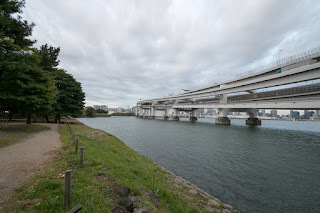 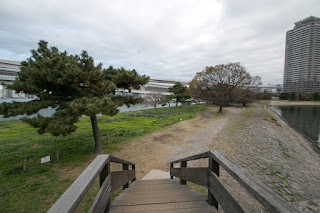 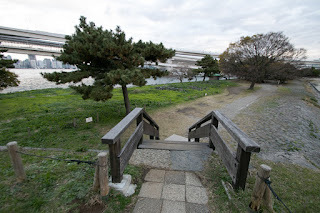 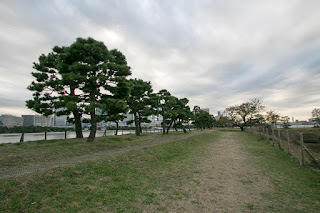 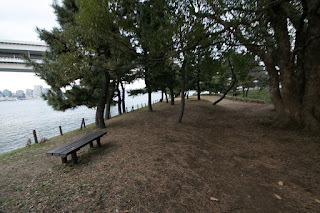 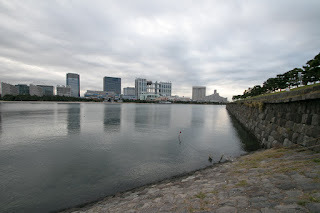 In 1590, Ieyasu Tokugawa (1543-1616) who became the lord of Kanto region under Toyotomi government chose Edo area where was the connecting point of land, river and sea transportation as his main base. 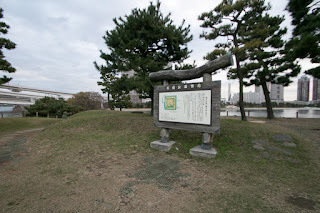 As Ieyasu Tokugawa established Edo Shogunate in 1603, Edo city became virtually became the capital of Japan although nominal capital was still Kyoto city. 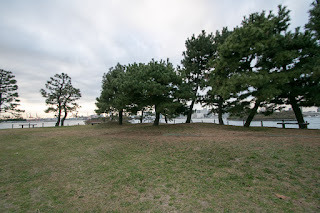 As Edo Shogunate could force other lords to dispose large warships, they could protect Edo city only controlling the movement of ships at current Uraga area. 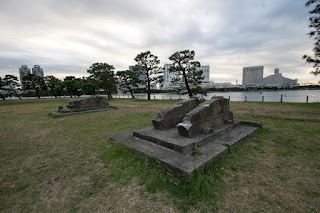 However in 1853, American fleets lead by Admiral Matthau Perry (1794-1858) sailed to Edo Gulf, to force Edo Shogunate to open the nation. 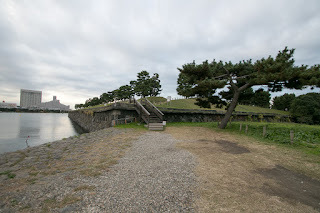 American fleets were steel ships and equipped with strong cannons, and it seemed impossible to resist against this fleet with traditional Japanese army did not progress in long peace period. This time American fleet only passed their document to Shogunate and retreated, but they made threat by approaching Edo city. 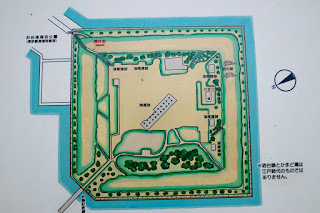 As Perry fleets is expected to come again in one year, Edo Shogunate ordered Hidetatsu Egawa (1801-1855), the magistrate of Nirayama administrative office and had deep interest in national defense and Western military technology, to build batteries to protect Edo city from foreign fleets. 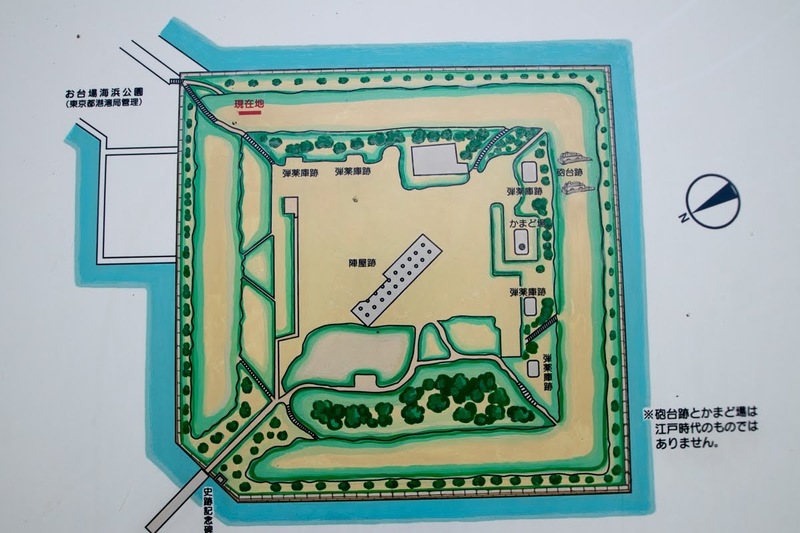 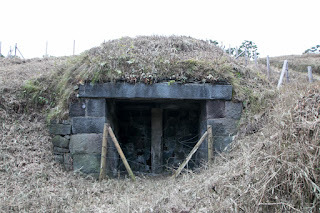 Hidetatsu planned the battery referring to French batteries, and originally eleven or twelve batteries might be built to cover from current Shinagawa area to Kasai area, whole part of central Edo city coast. 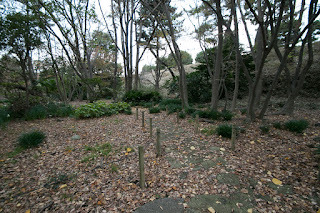 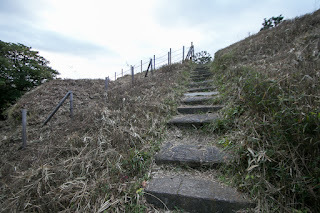 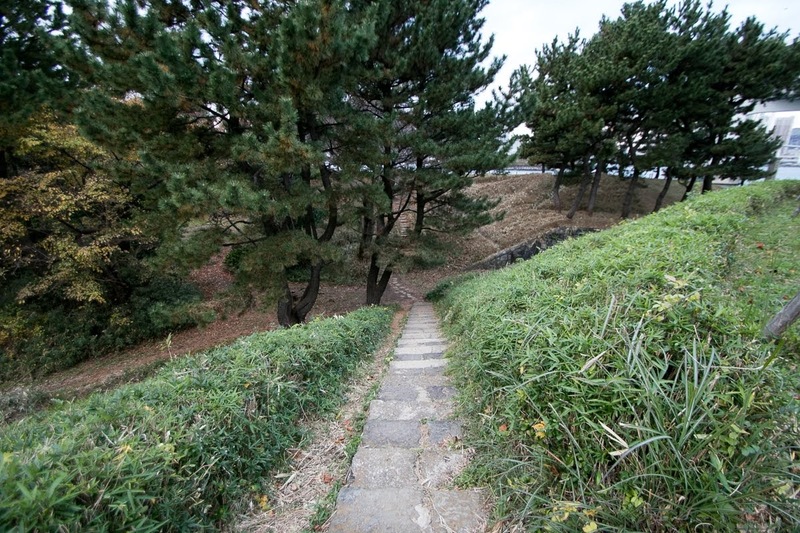 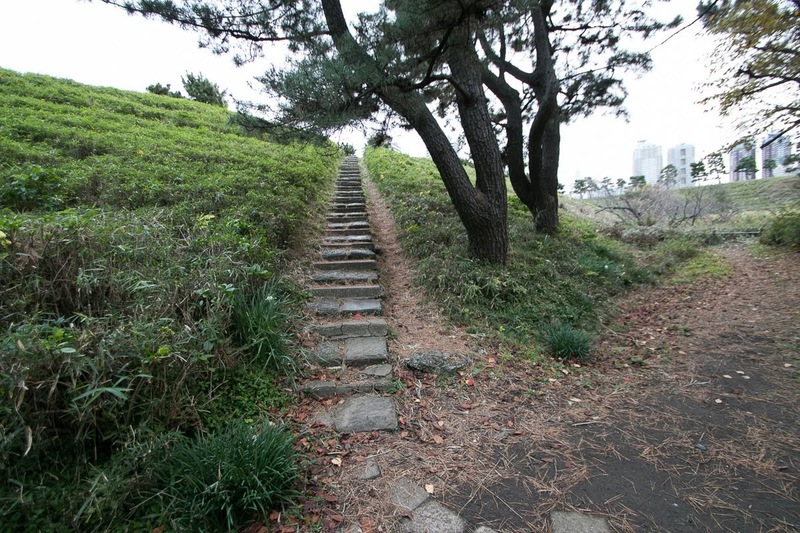 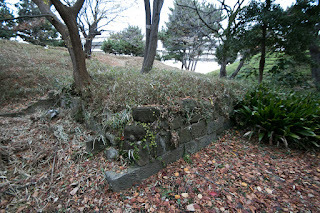 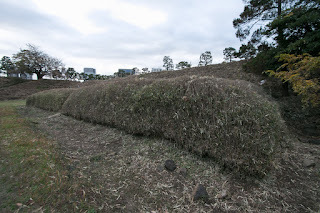 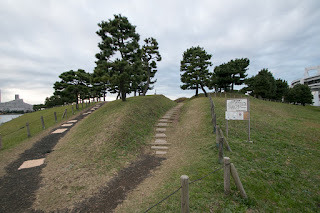 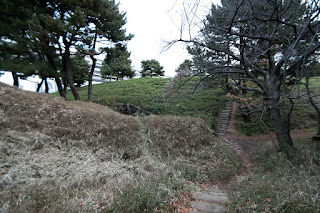 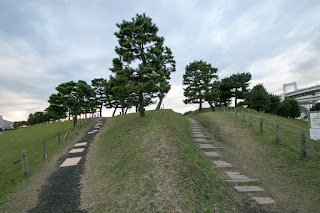 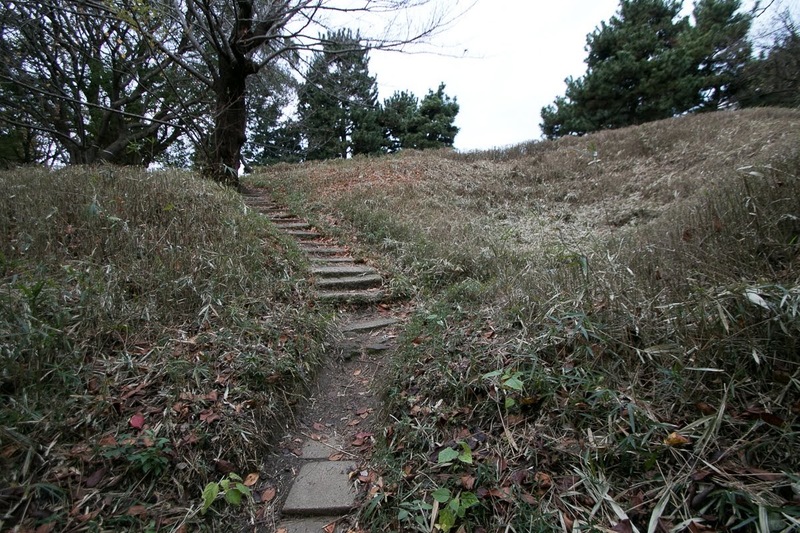 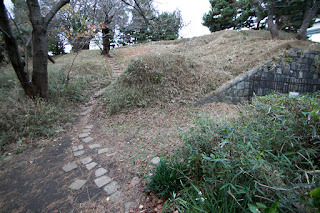 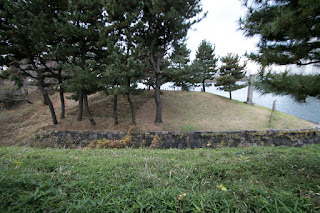 Stone walls were built over the wooden basement at the bottom of the sea, and the sands achieved from digging the edge of the Gotenyama height were thrown into the stone walls to build the land. 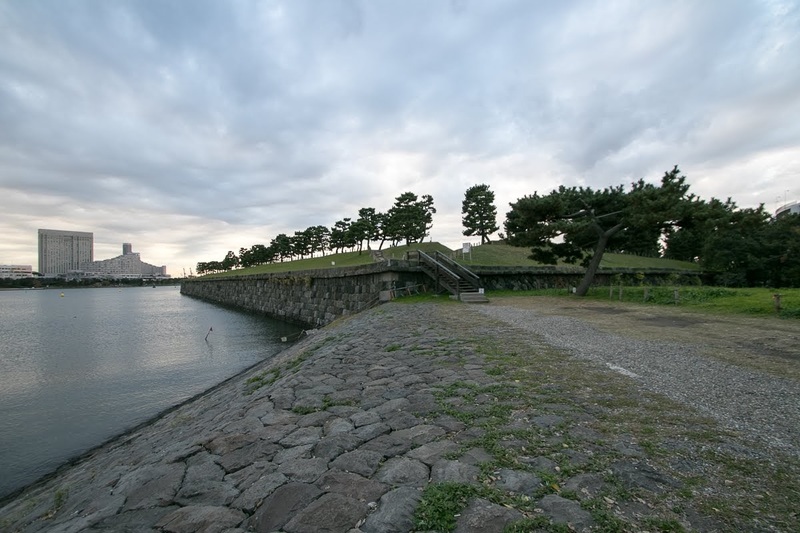 Actually, only six batteries completed and one mostly completed at western half of its original plan, because of budget limitation. The east half is a swallow area which naturally protected intrusion of large ships, and less emergent from western half with certain depth. 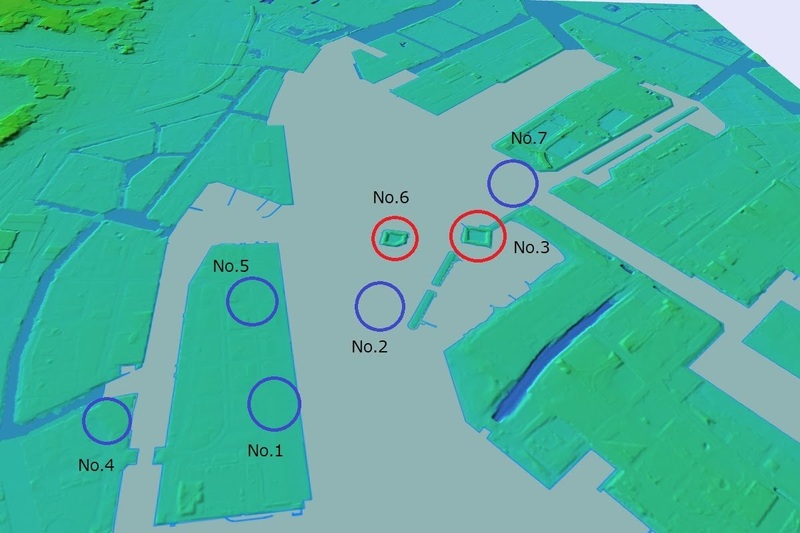 These seven batteries were separated into No, 1 to 4 at outer line, and No. 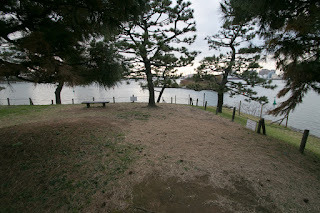 5 to 7 at inner line, to enable encircling attack to intruding ships. Each battery were roughly square shape of about 100 or 150 meter long, having a octagonal line at its front side two corners. 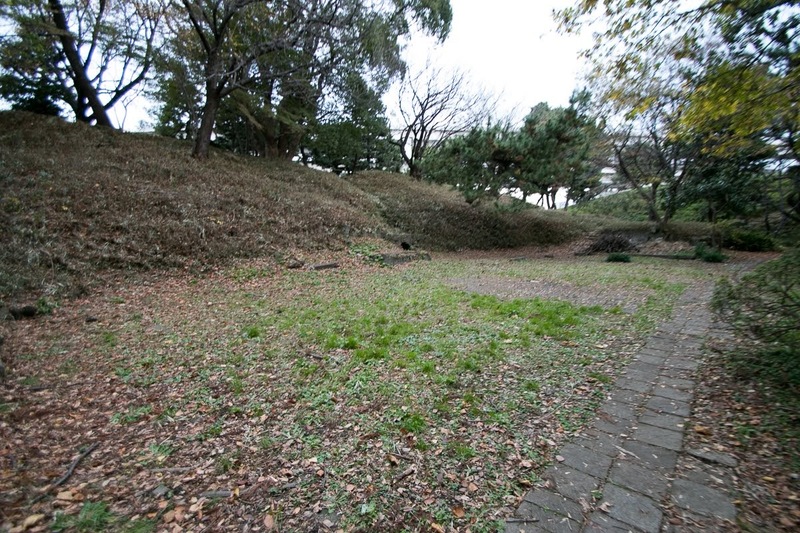 It is surrounded by about five meter tall clay walls, and at inner lower flat area there were barracks and powder warehouses built by stone blocks. 80 Pound bronze cannons casted domestically were placed on clay walls, but there were rather outdated ones. 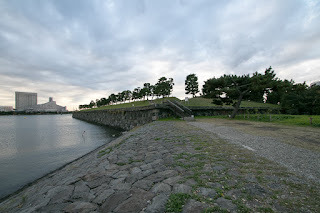 In 1854, American Fleets visited Japan to receive the reply from Edo Shogunate and entered into Edo Gulf. But looking at the batteries, Perry returned and landed to Yokohama town, and made treaty with Edo Shogunate. 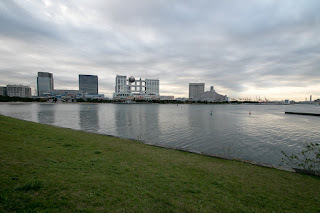 Yokohama port became the foreign port, and intrusion of foreign ships into Edo city once avoided. 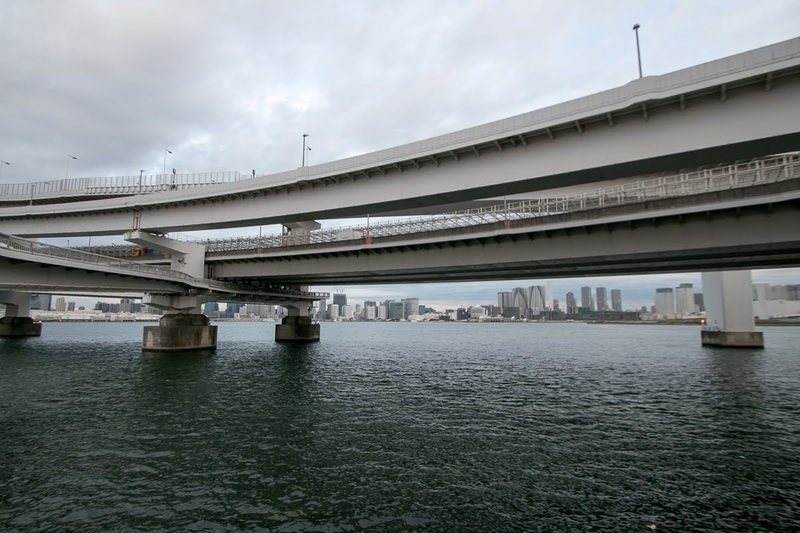 Of course it was still necessary to prevent attack from the sea, the construction slowly continued. 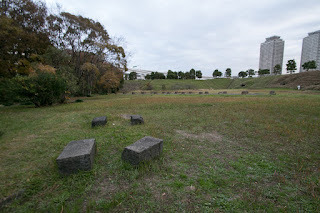 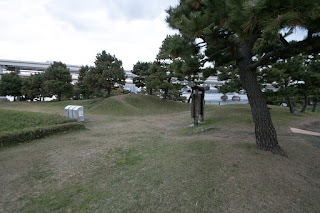 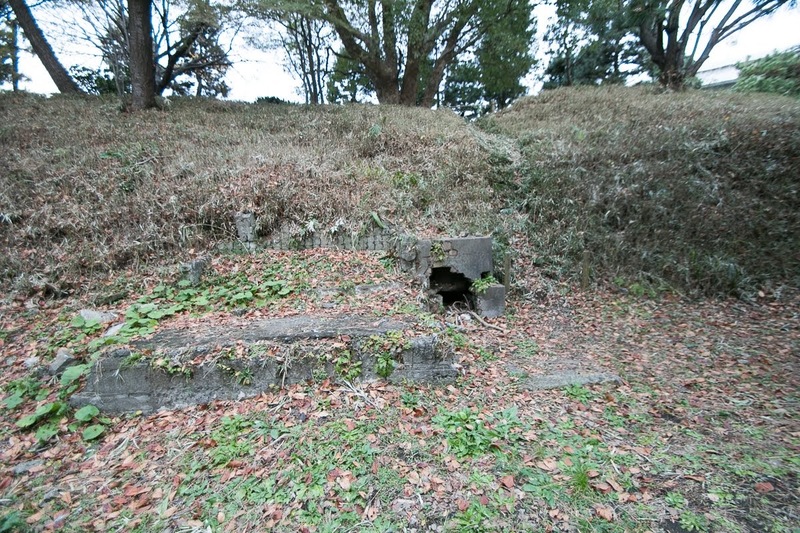 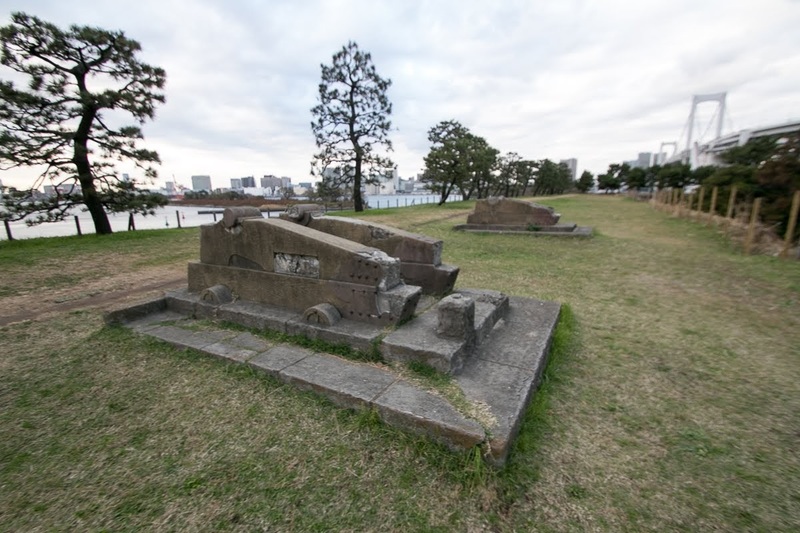 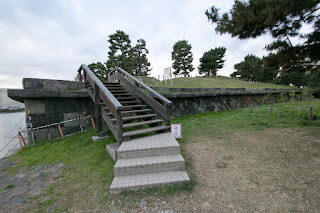 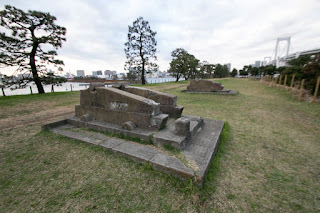 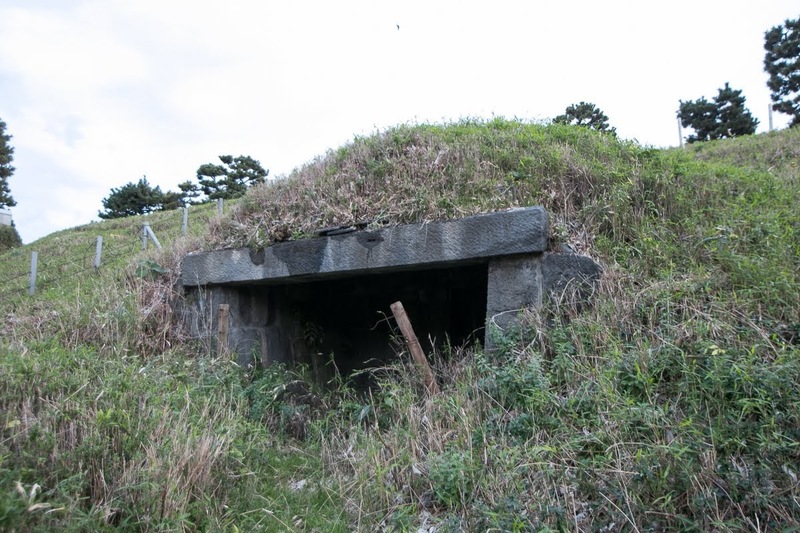 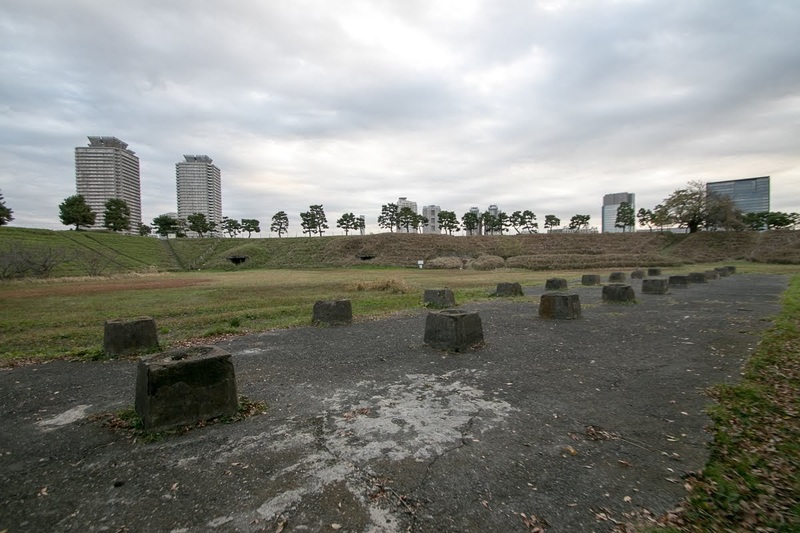 After Meiji revolution Daiba Forts were succeeded to Meiji new government, and the government placed soldiers to these batteries. 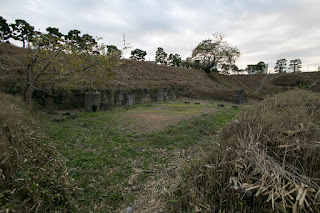 But along with the development of cannons, Daiba Forts were too small and too close thus it became in sufficient for its duty. To prevent the attack of enemy fleet and its naval base Yokosuka port, the government built secure fortress utilizing narrow line of Uraga Straight, at the exit of Tokyo Bay. 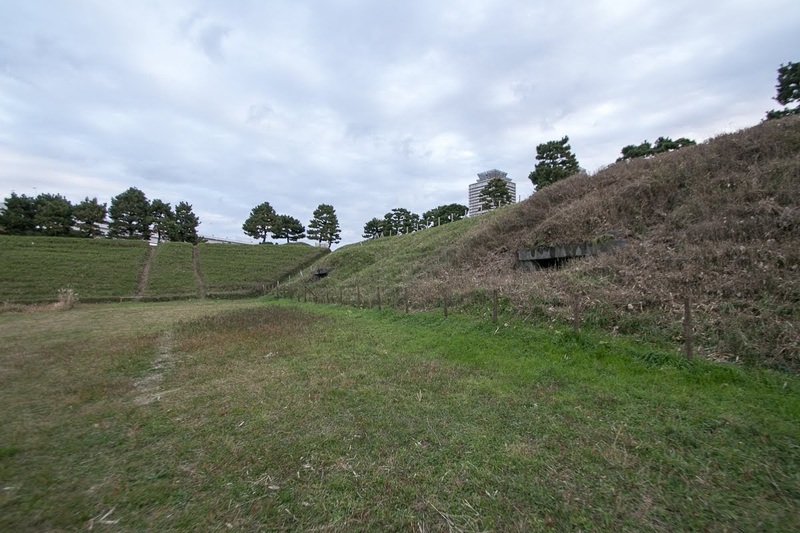 Three batteries with larger lands and strong cannons were built, and large cannons were placed at the both side of the straight. 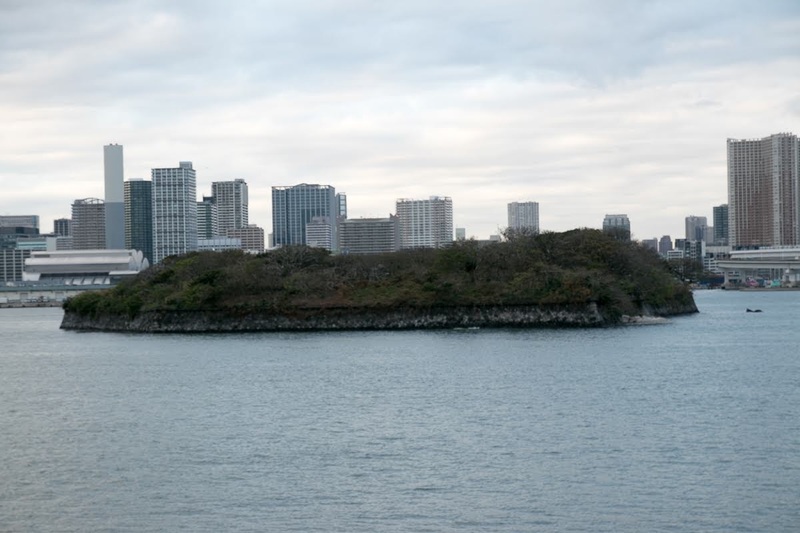 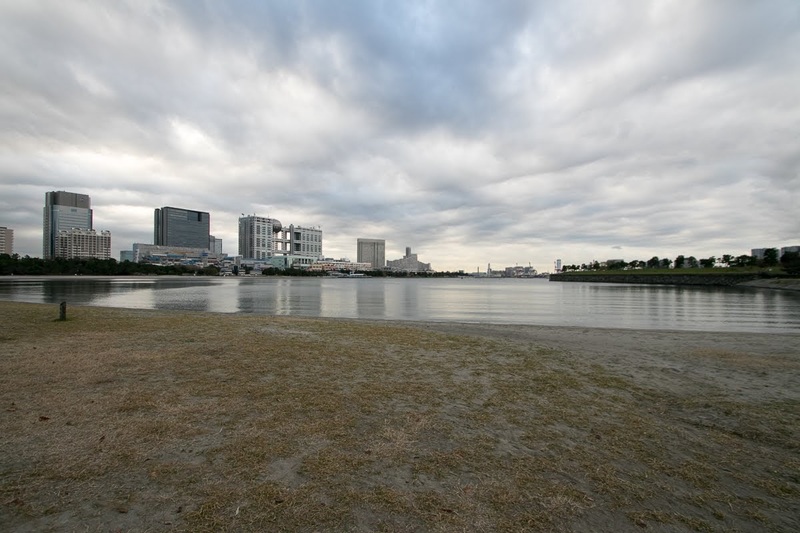 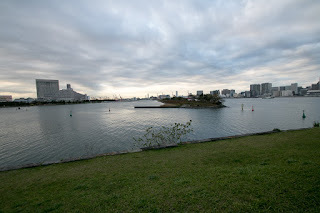 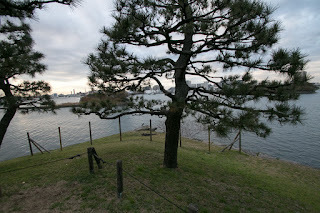 The defense of Tokyo Bay once completed, and Daiba Forts lost its significance. 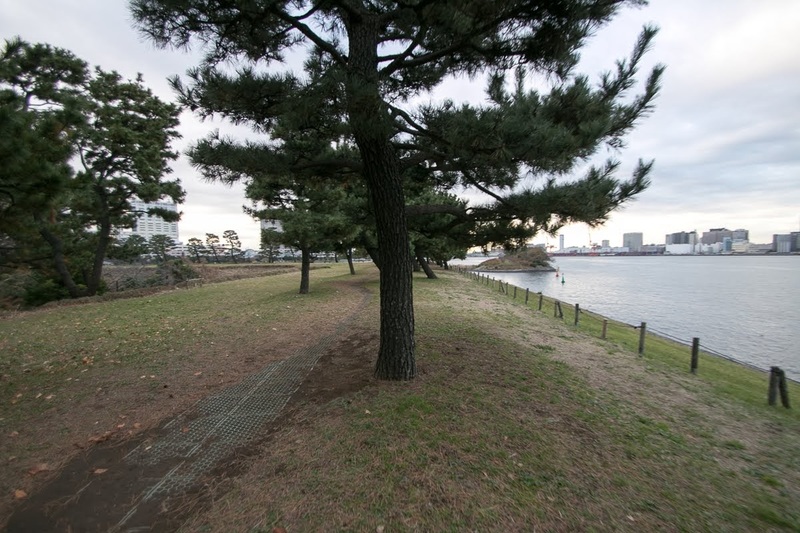 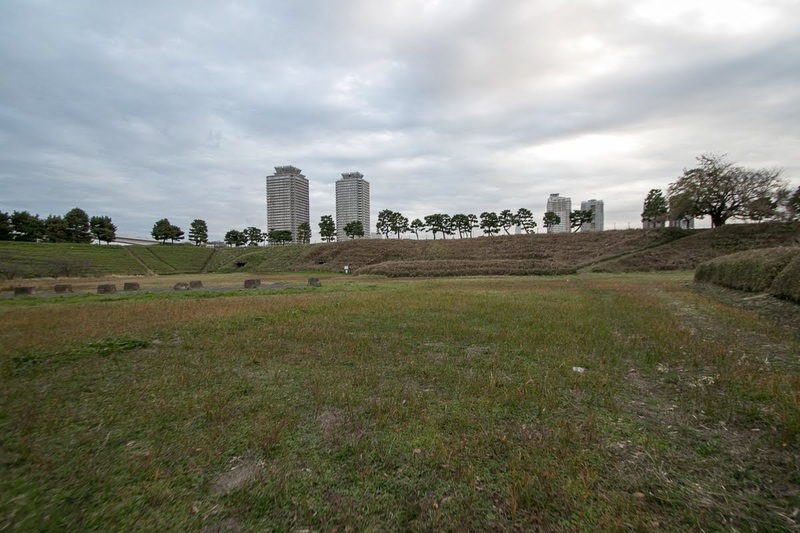 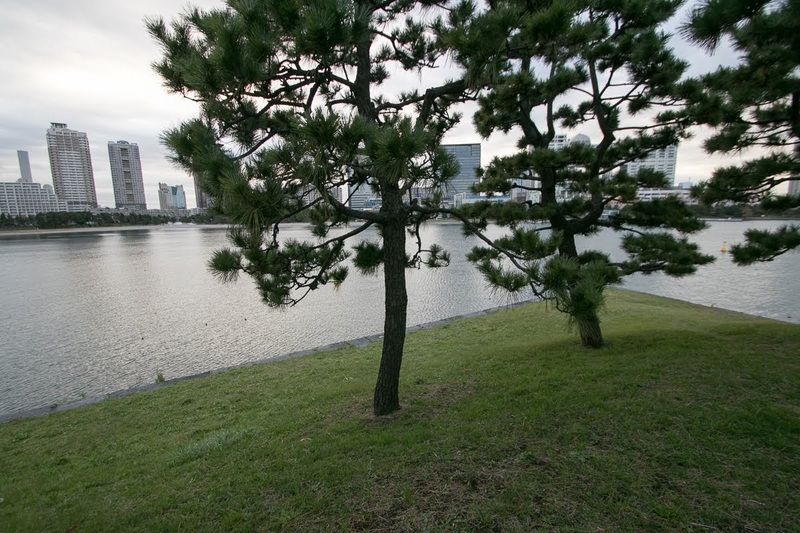 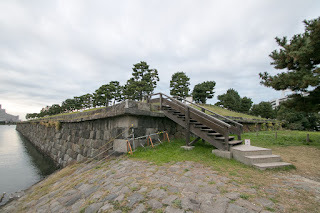 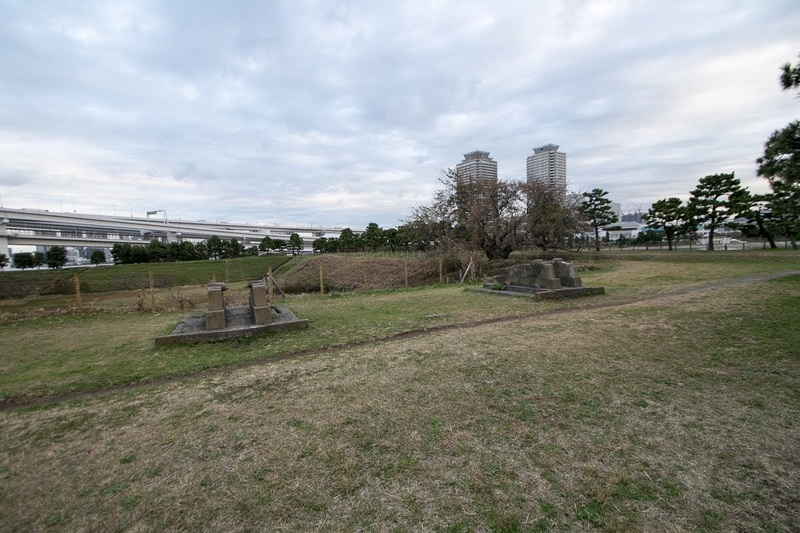 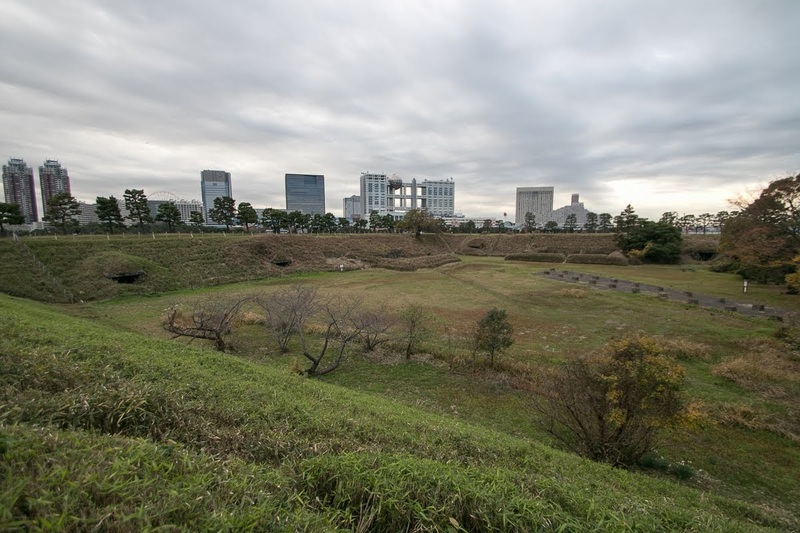 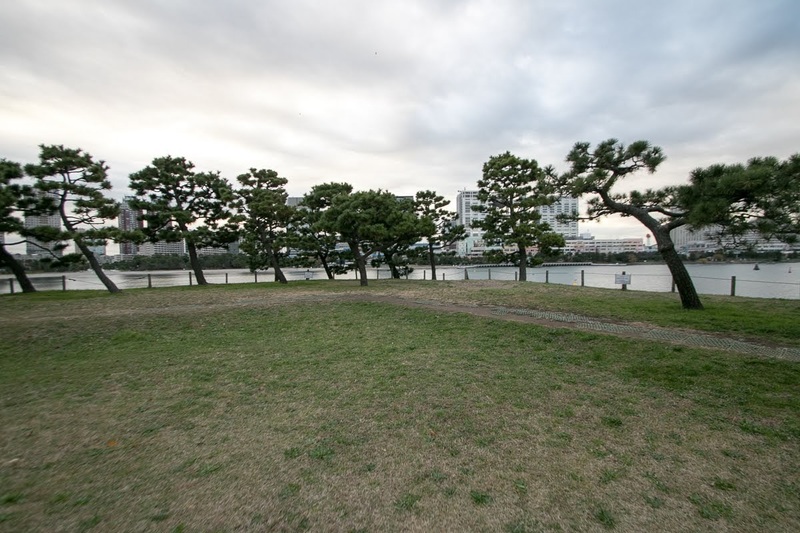 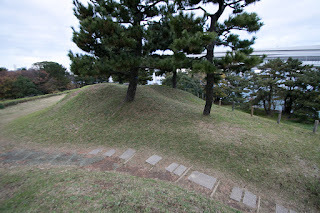 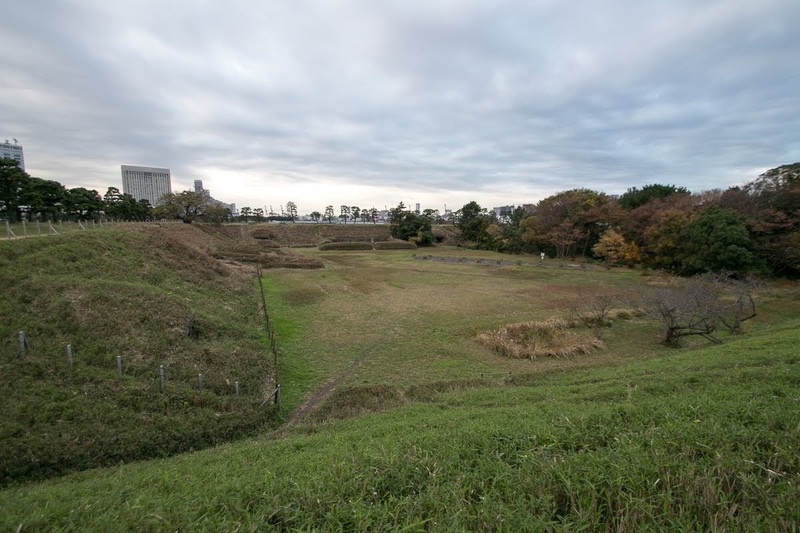 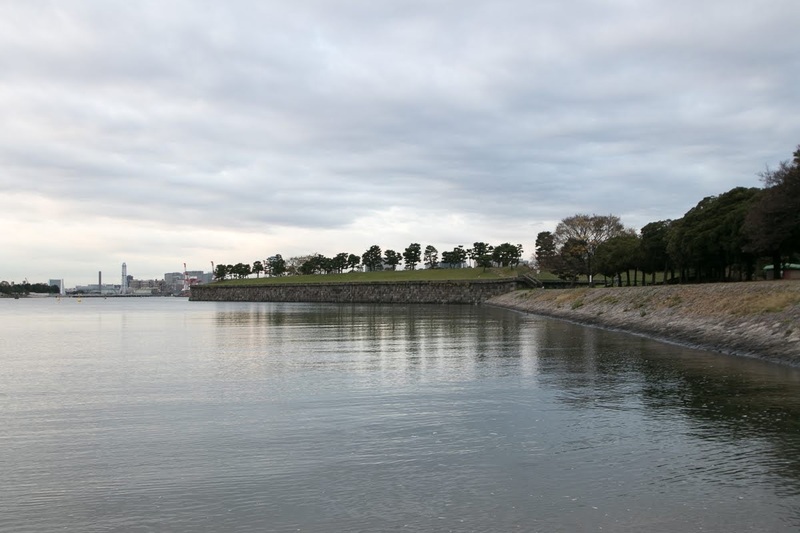 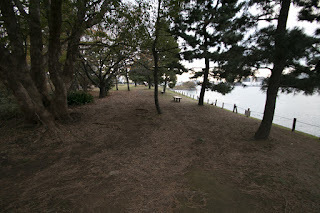 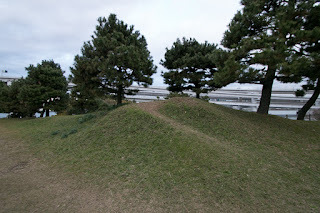 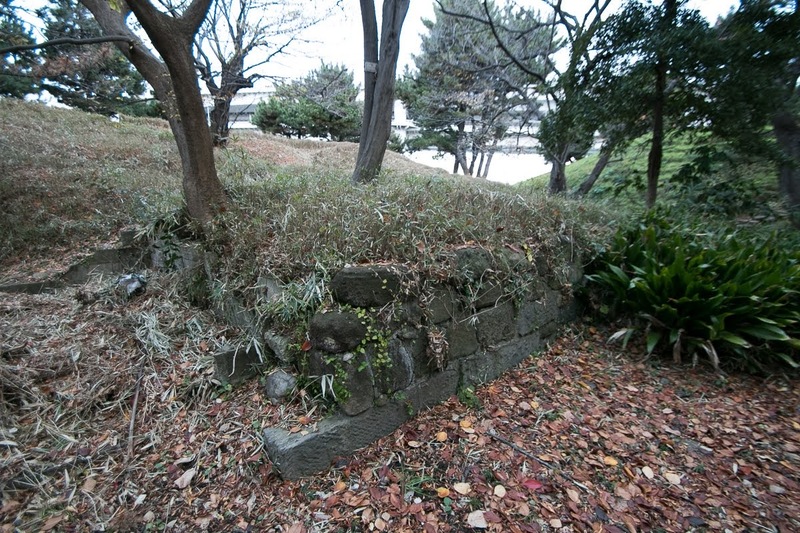 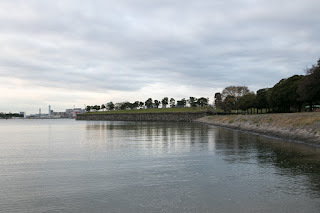 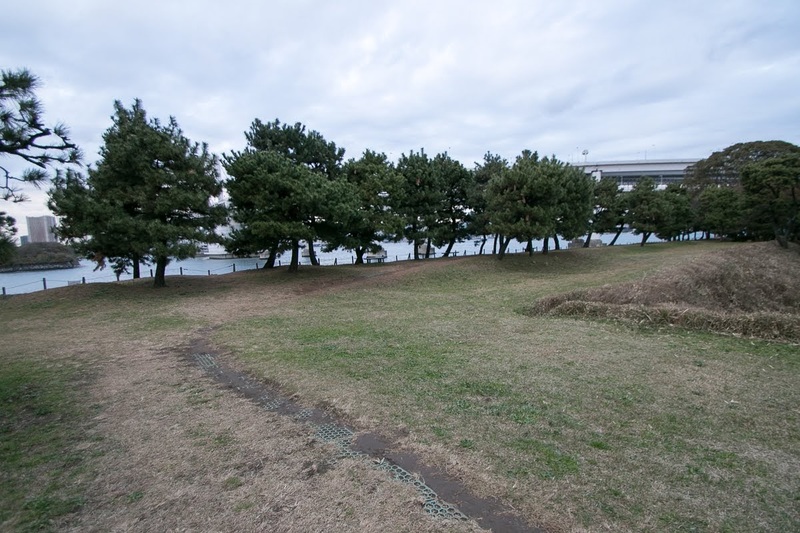 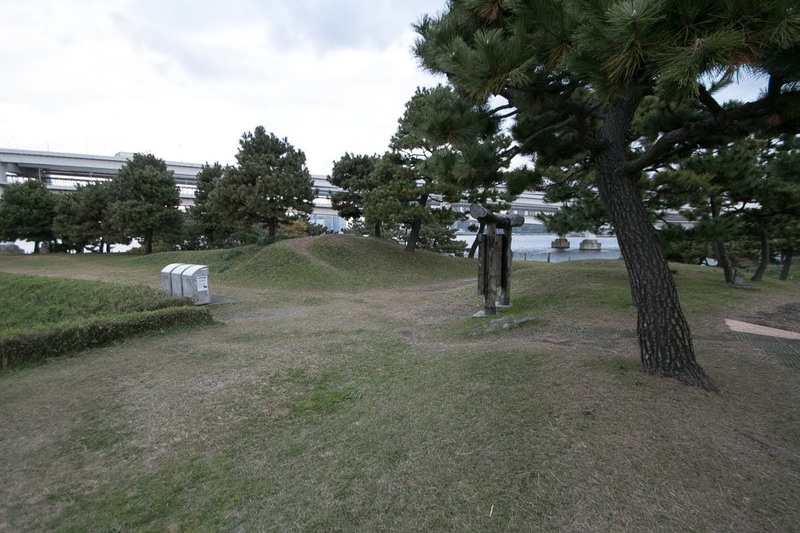 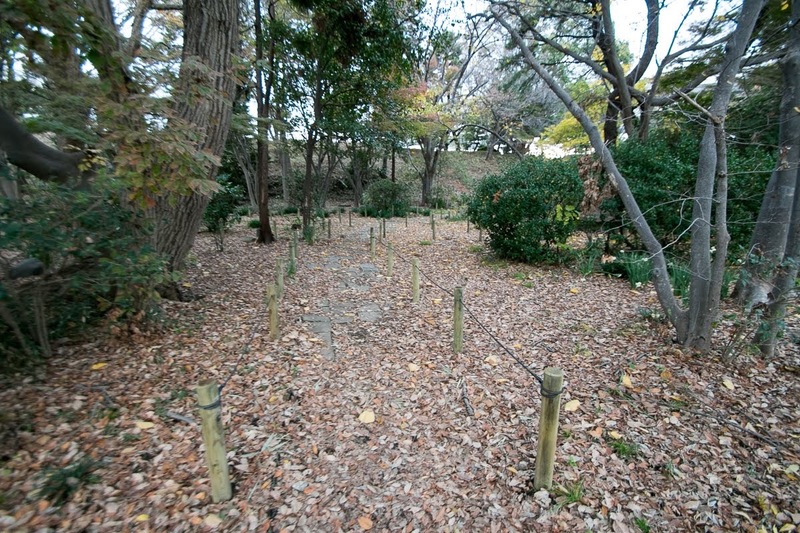 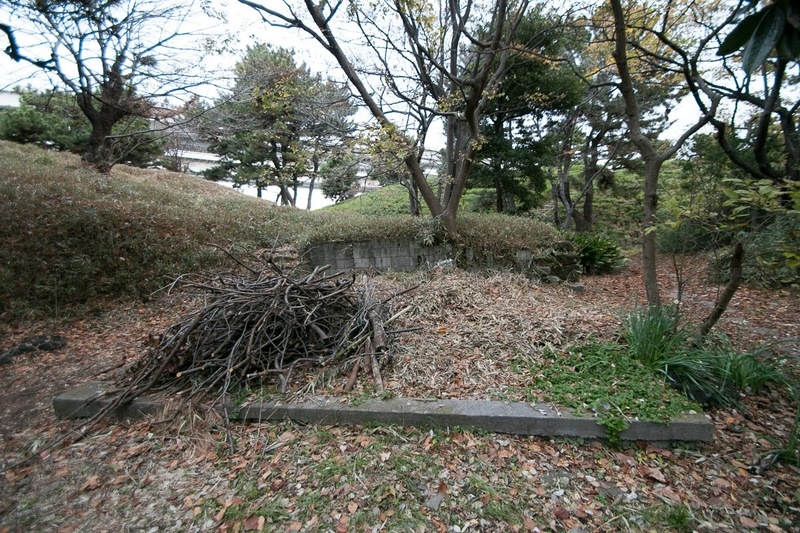 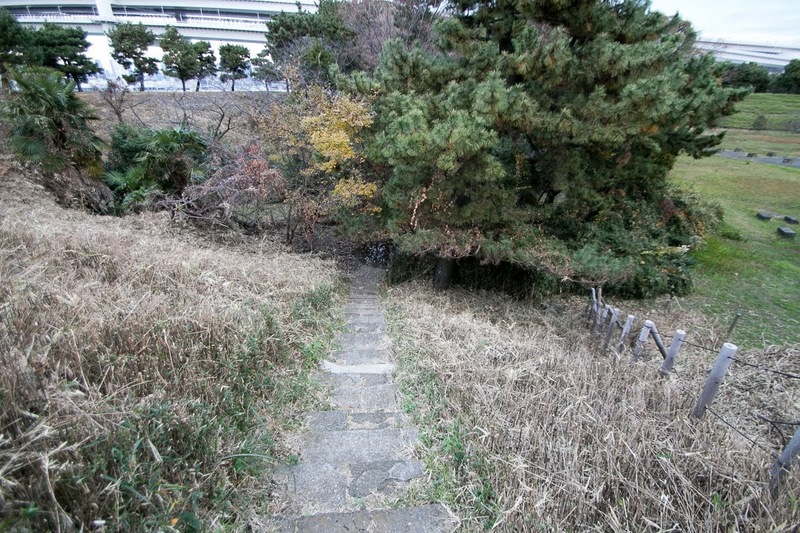 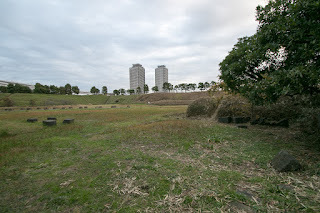 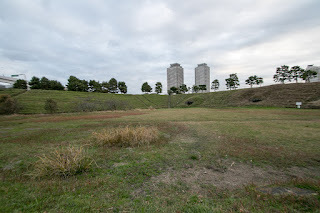 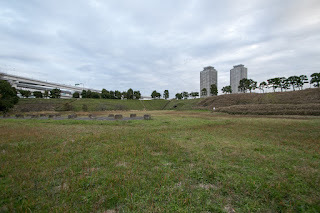 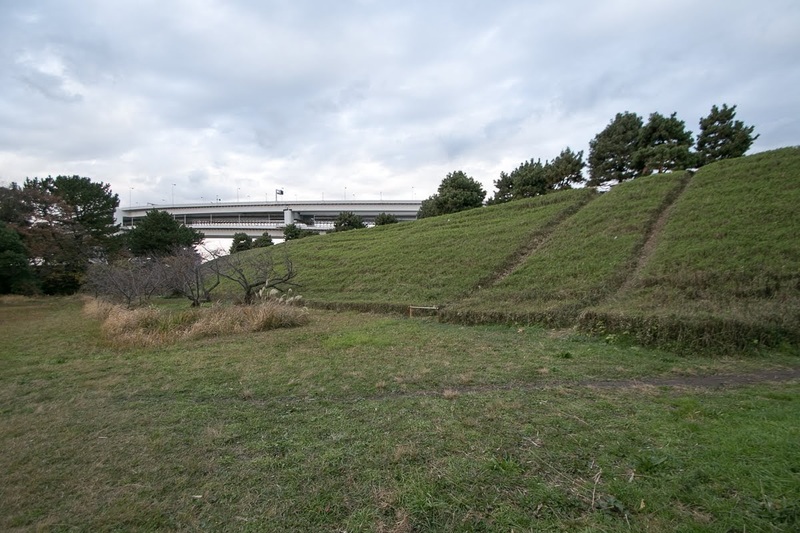 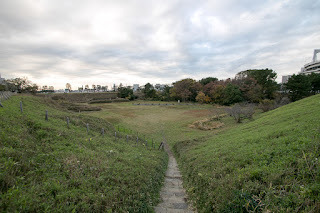 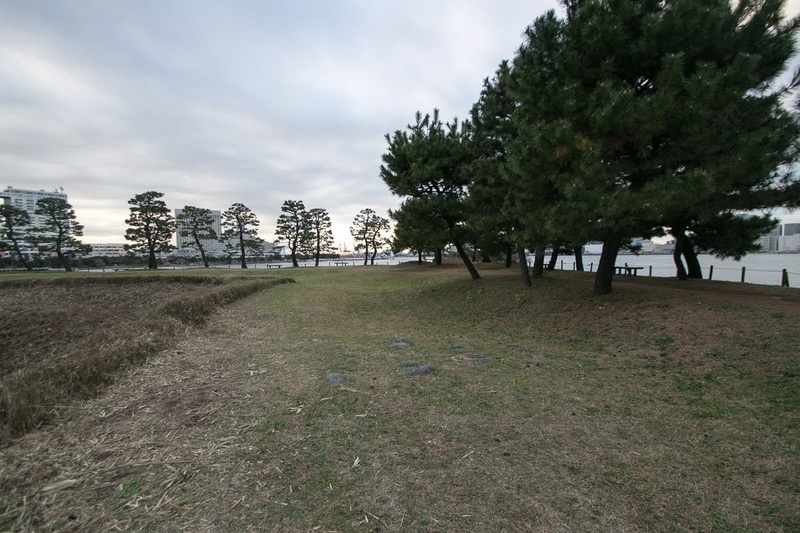 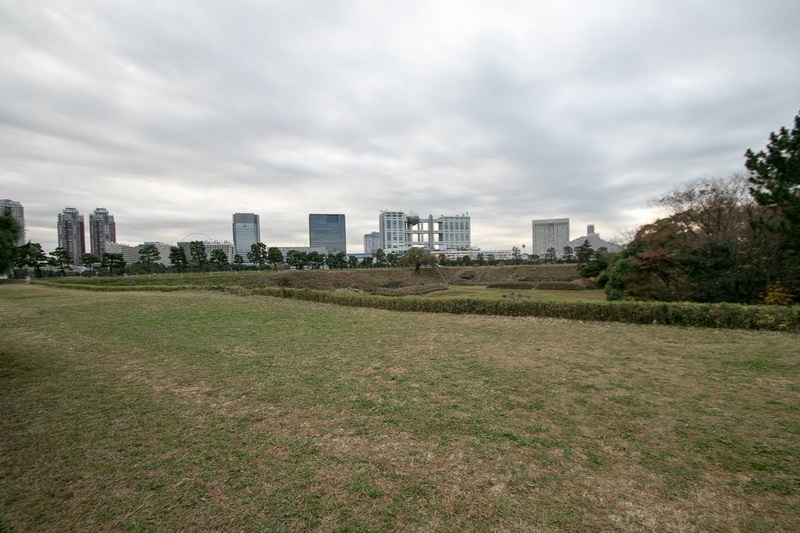 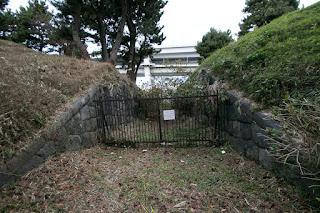 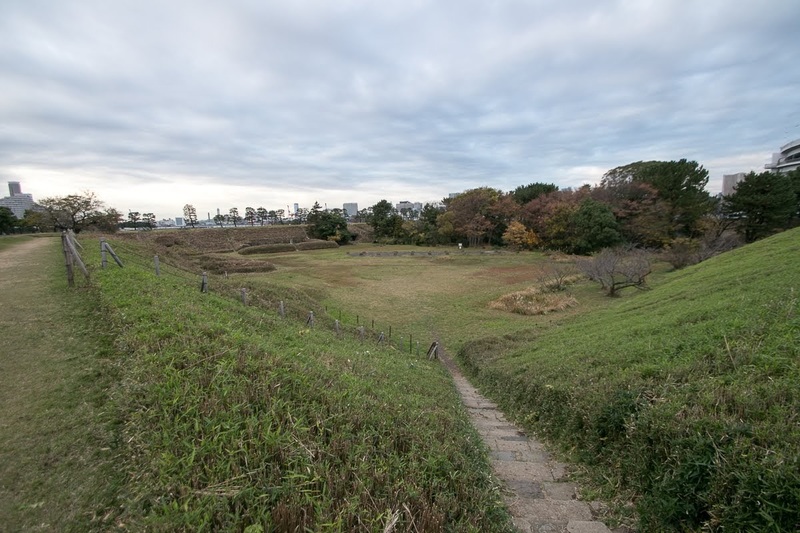 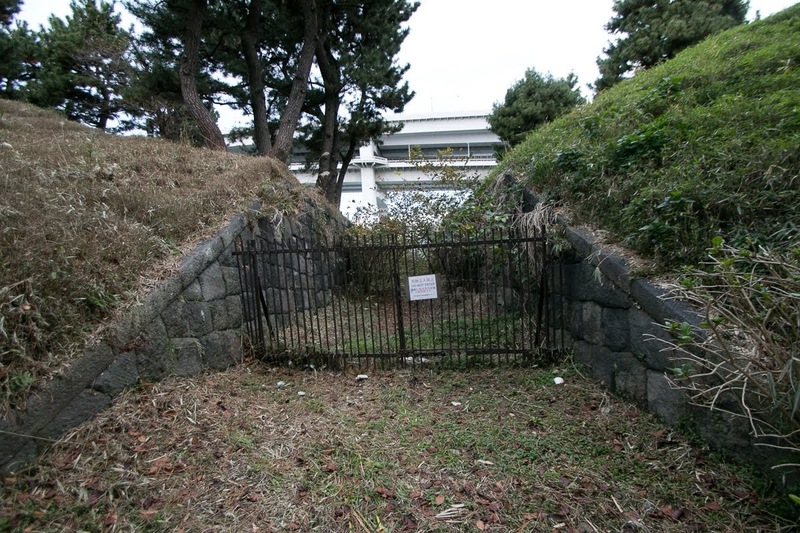 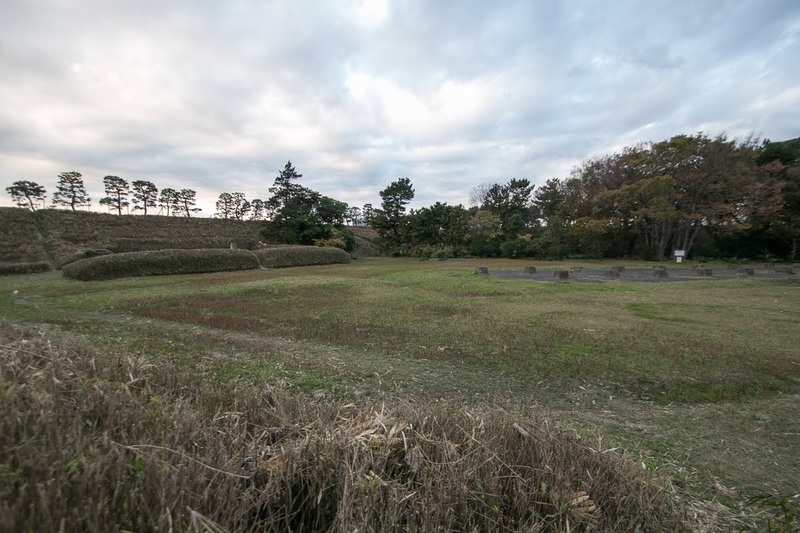 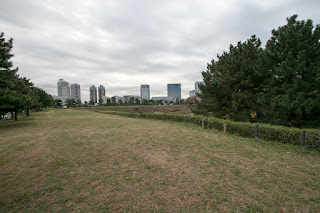 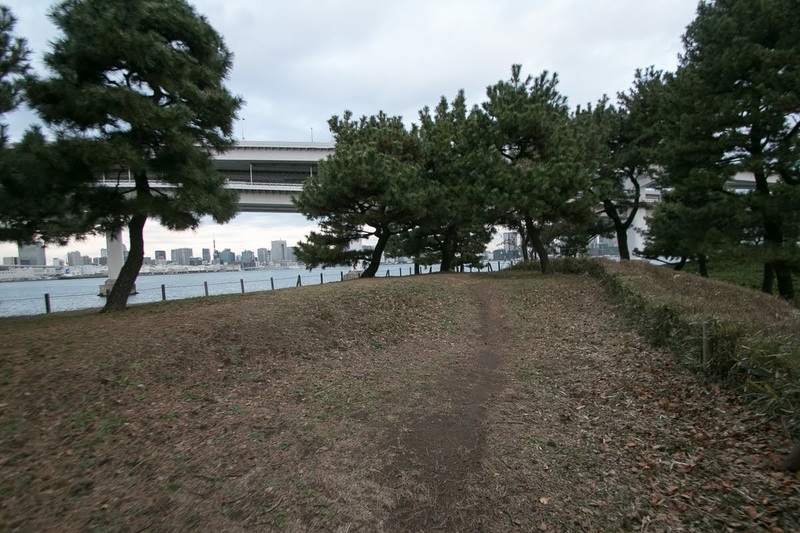 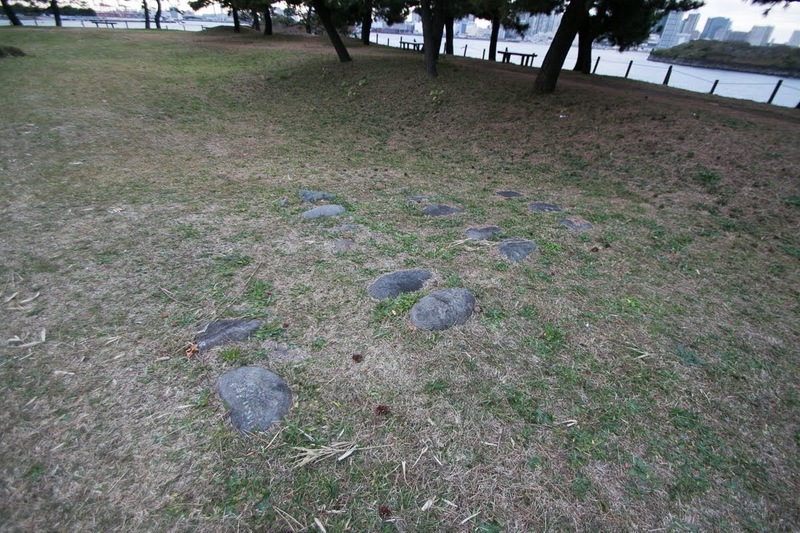 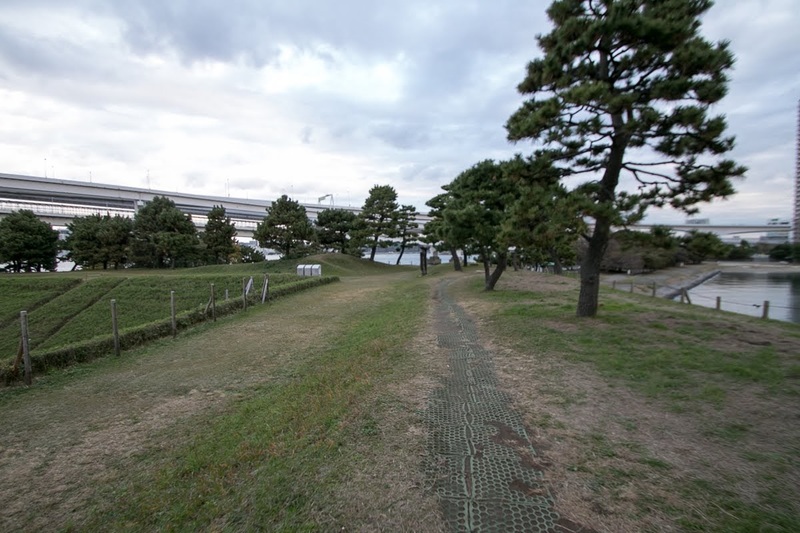 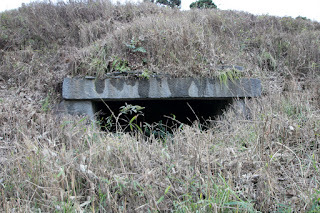 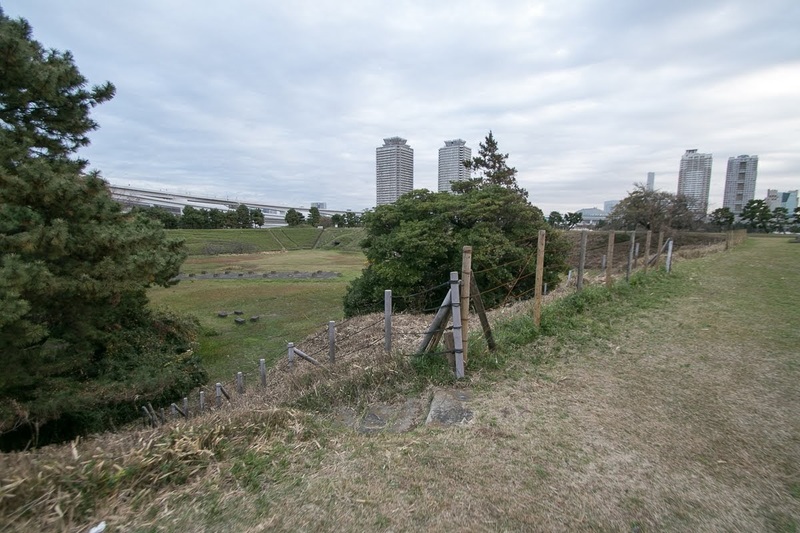 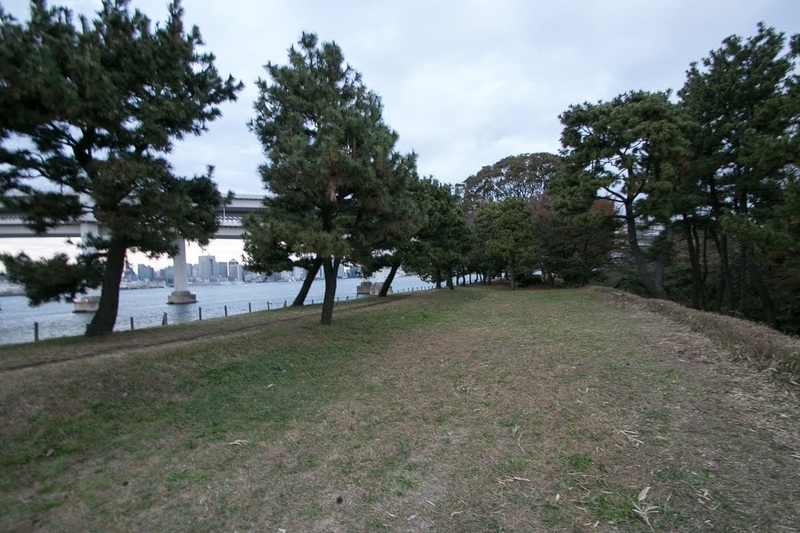 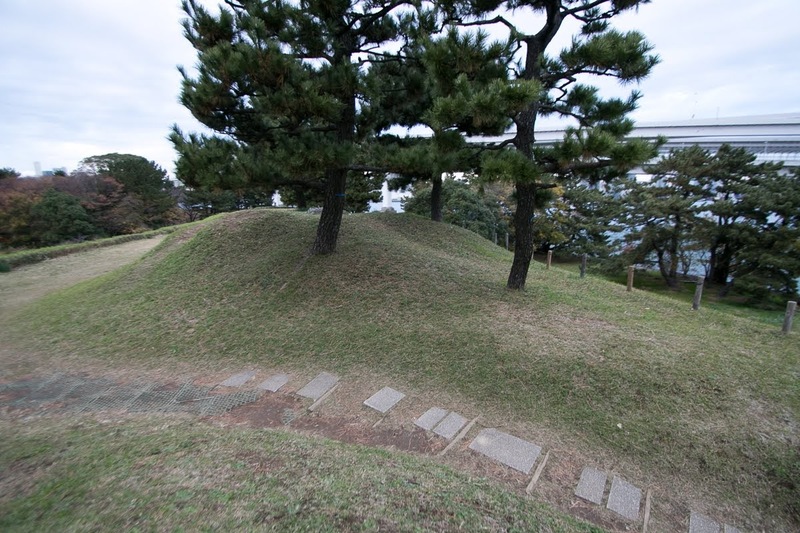 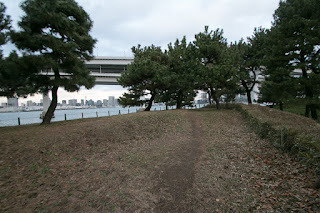 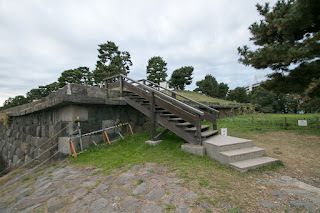 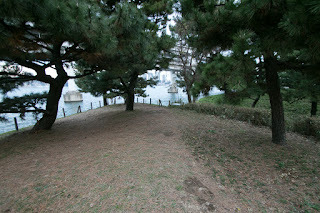 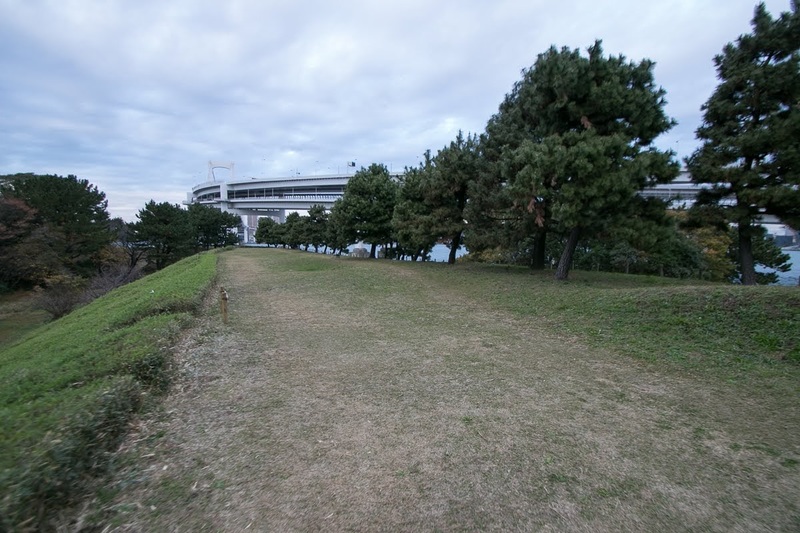 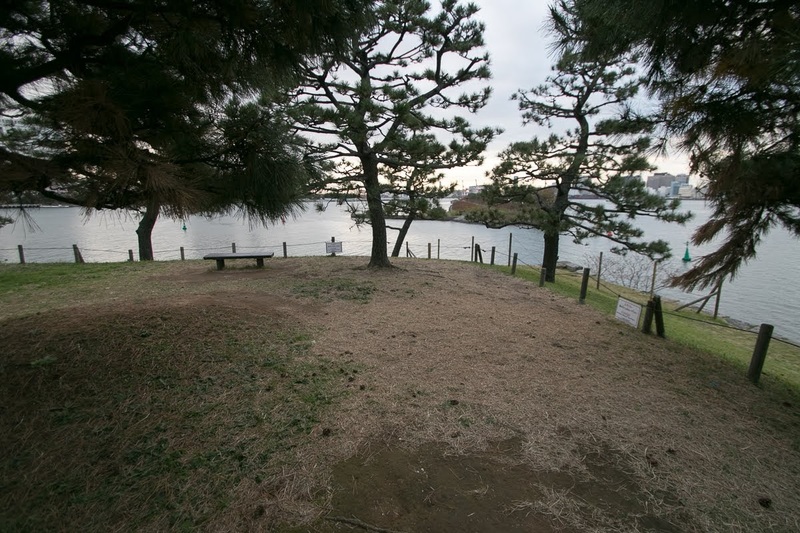 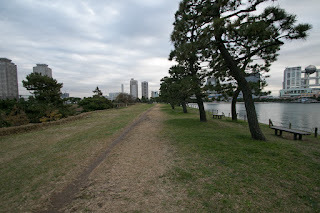 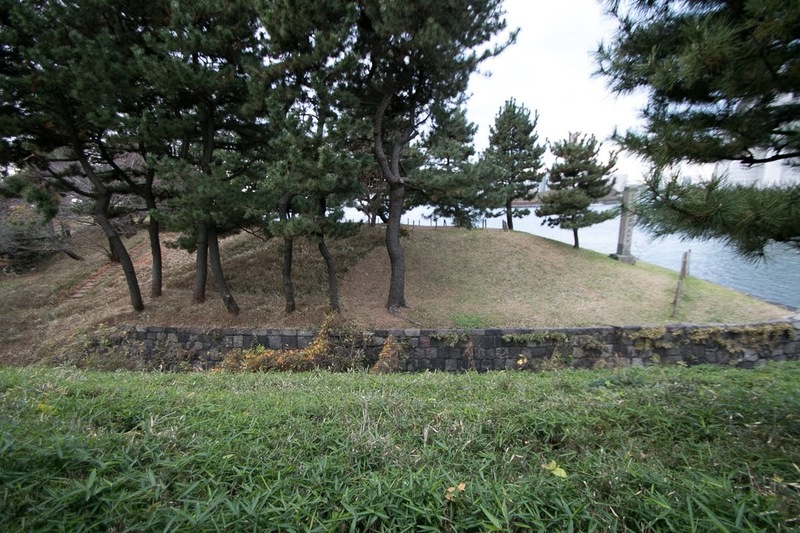 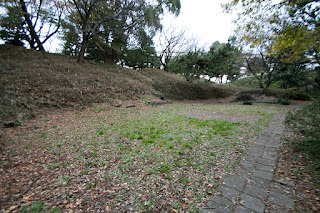 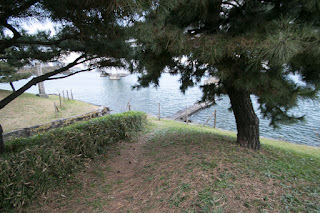 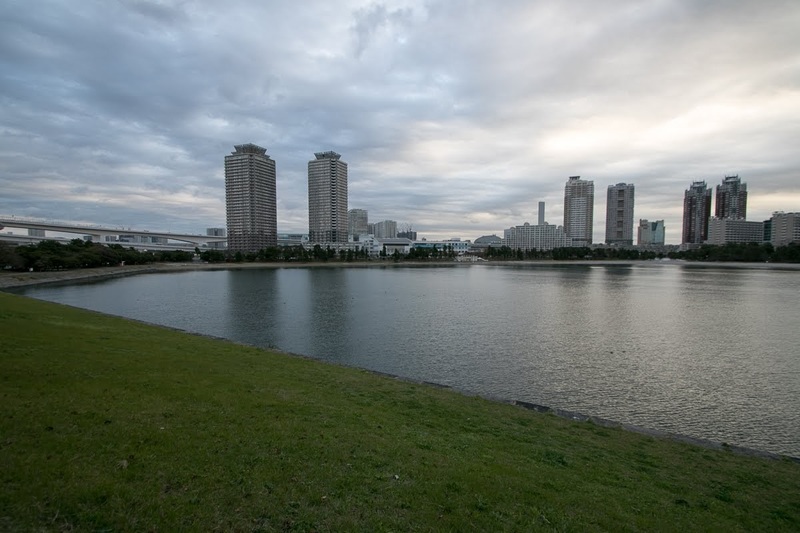 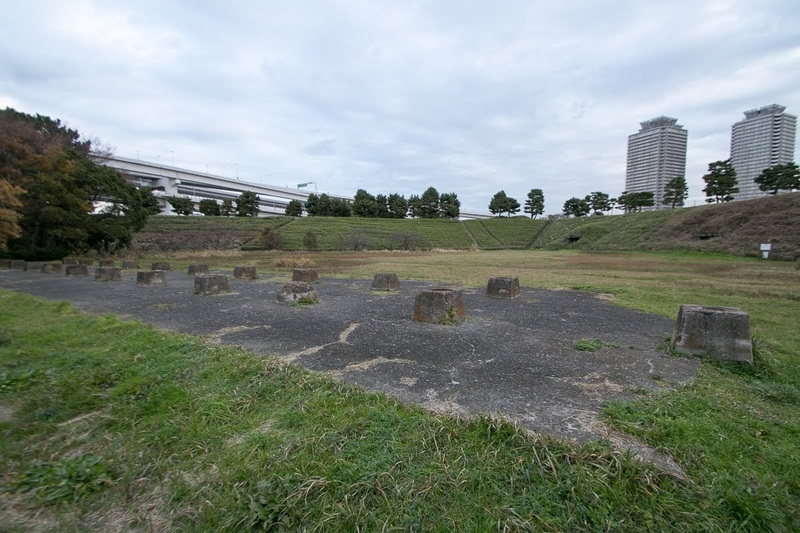 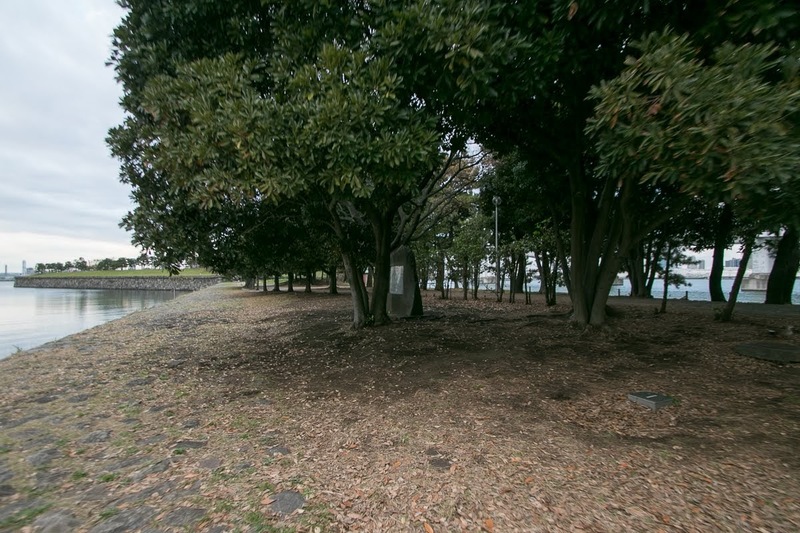 As Daiba Forts were built at swallow area, it became basement for land reclamation and coast side No.1, 4, and 6 battery disappeared into reclaimed lands. 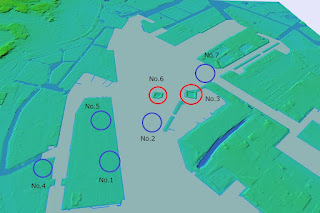 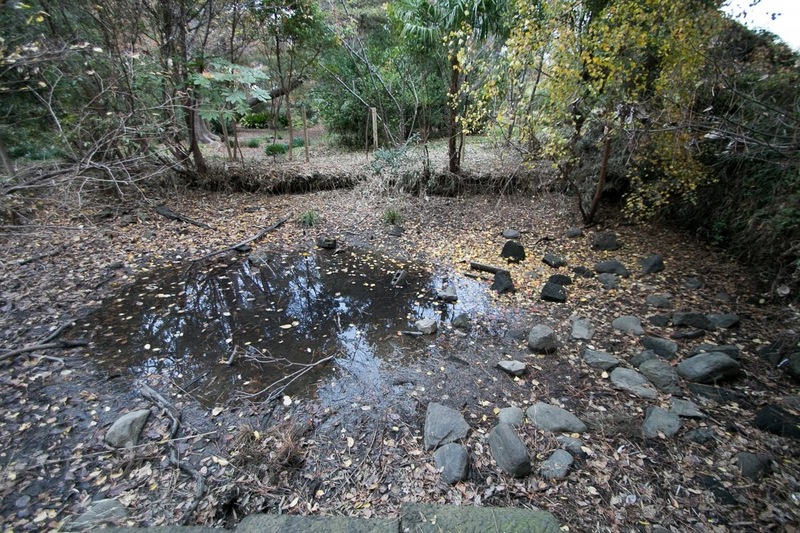 Furthermore, No.2 at the middle of naval route and non-completed No.7 were disposed for the safety of the ships. 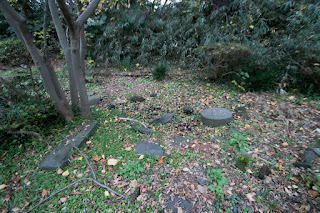 Only No.3 and 6 batteries were kept, and looked the development of Tokyo city in spite of severe damage of Great Earthquake in 1923. 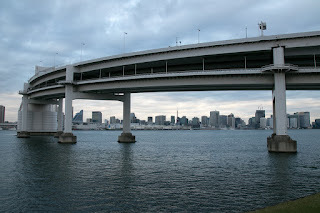 Since the enforced open of the nation, Japan made rapid development and once caught up the Western nations. 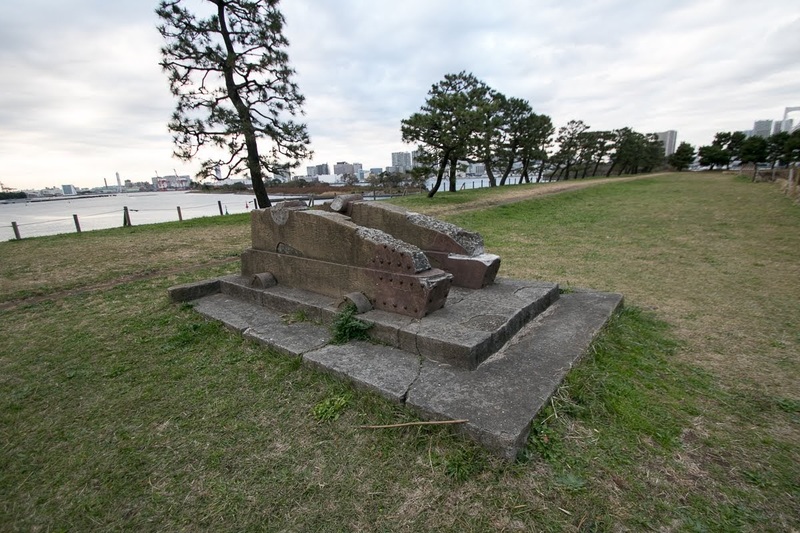 But in the WW2, after suffering severe bombing from far ahead of the sky, Tokyo city suffered severe damage then Japan made unconditional surrender to allied nation at the warship sailed to Tokyo bay. After WW2, Japan could make miraculous economic recovery and become the developed nation again. 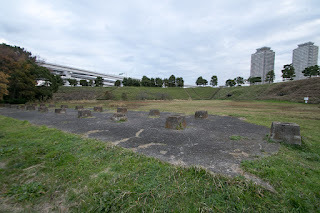 During the bubble economy at 1980's, the backward of No.3 battery became the target of huge development and named as Odaiba area, using the name of battery. 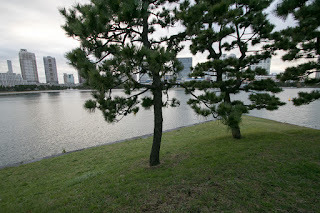 But due to the severe recession after the cease of bubble economy in 1990's, the development of Odaiba area faced deadlock. 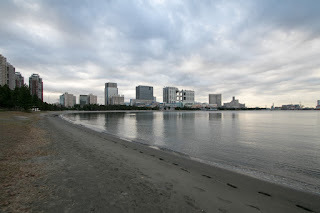 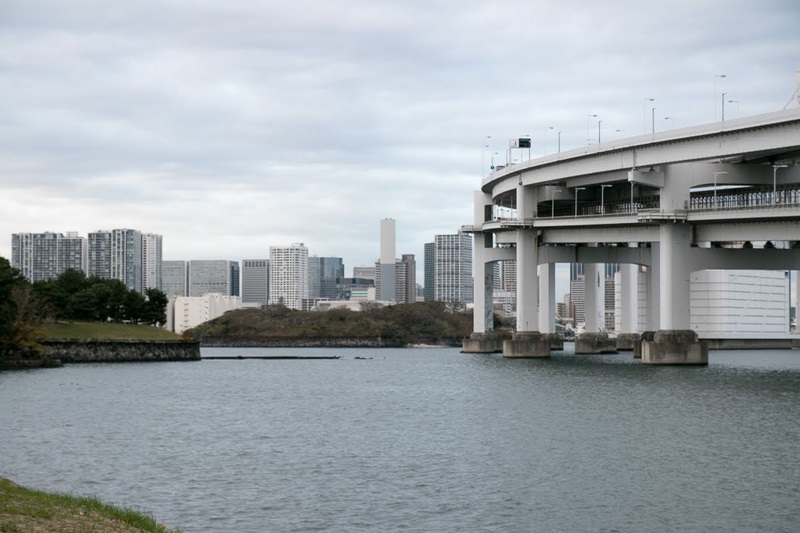 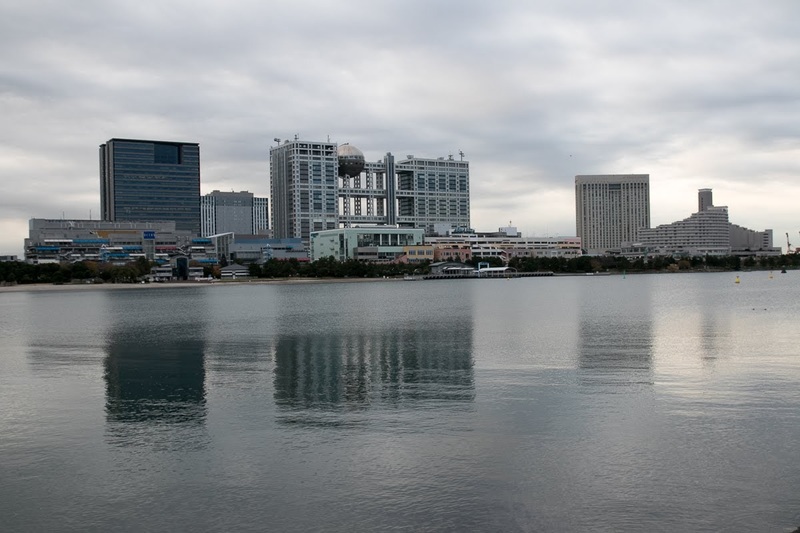 But suffering from severe debt, the develop of Odaiba area slowly continued, and Odaiba area became one of the major commercial area of Tokyo city with shopping malls, headquarter of companies and exhibition halls. 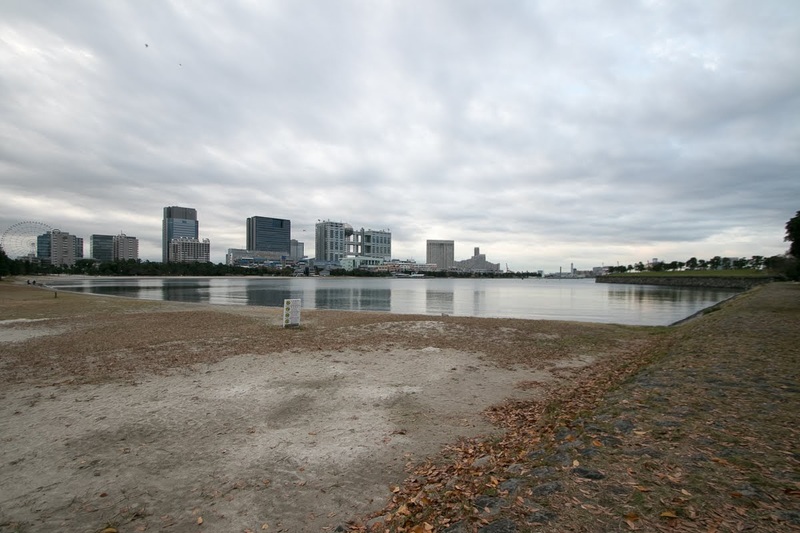 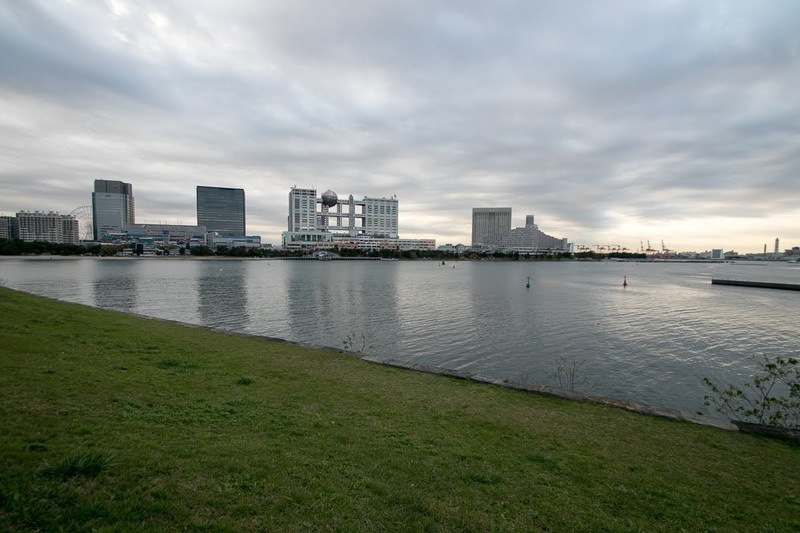 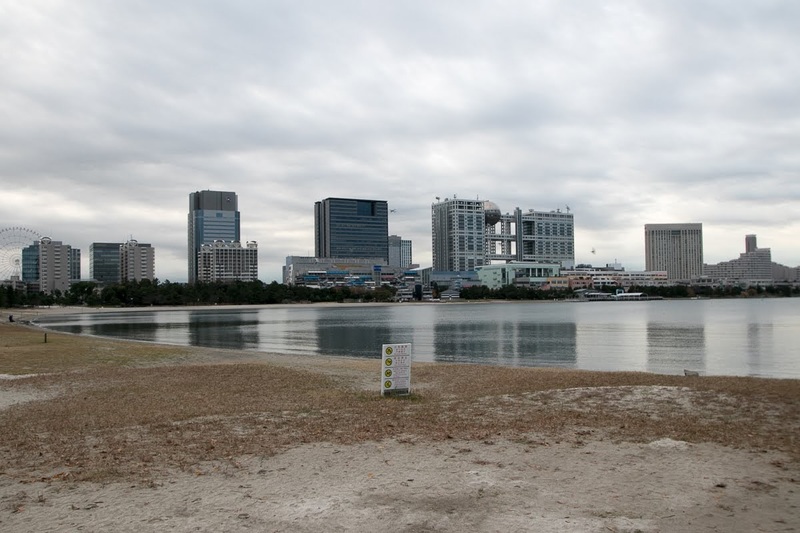 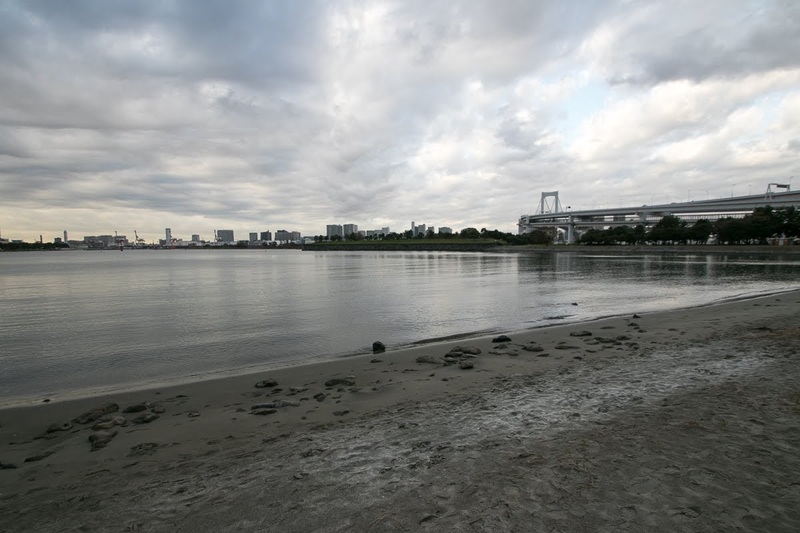 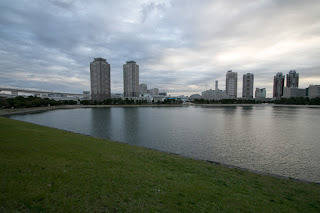 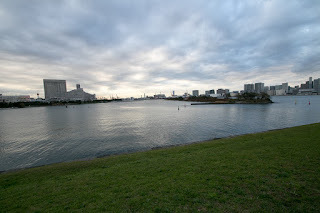 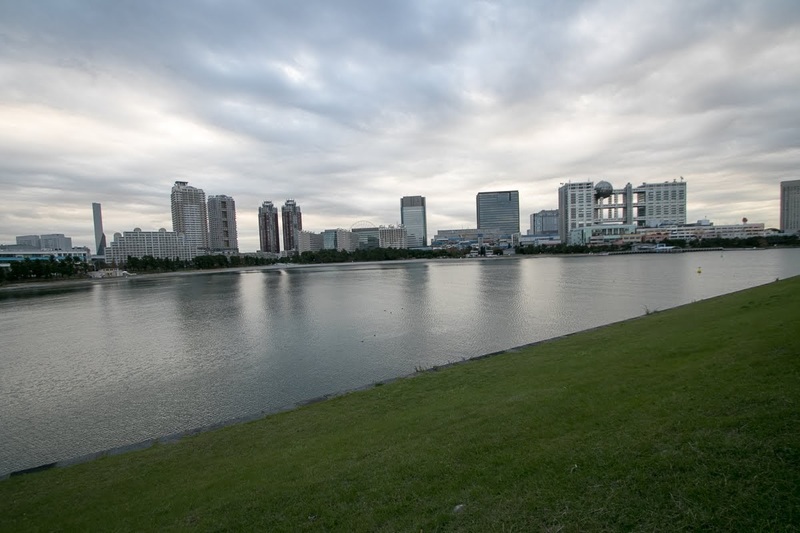 Furthermore, Odaiba area is planned to be used as one center of international sports festival held in 2020. 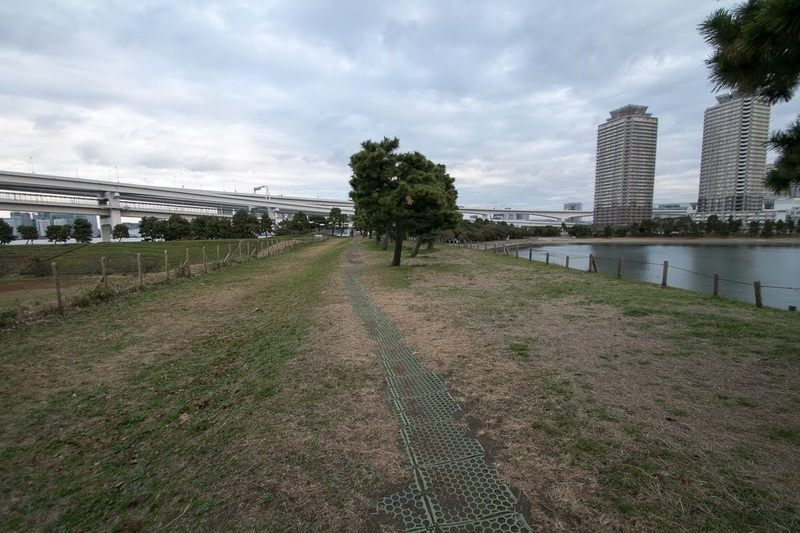 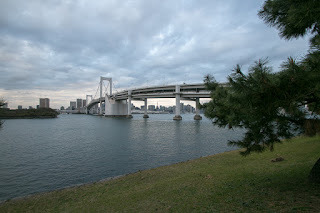 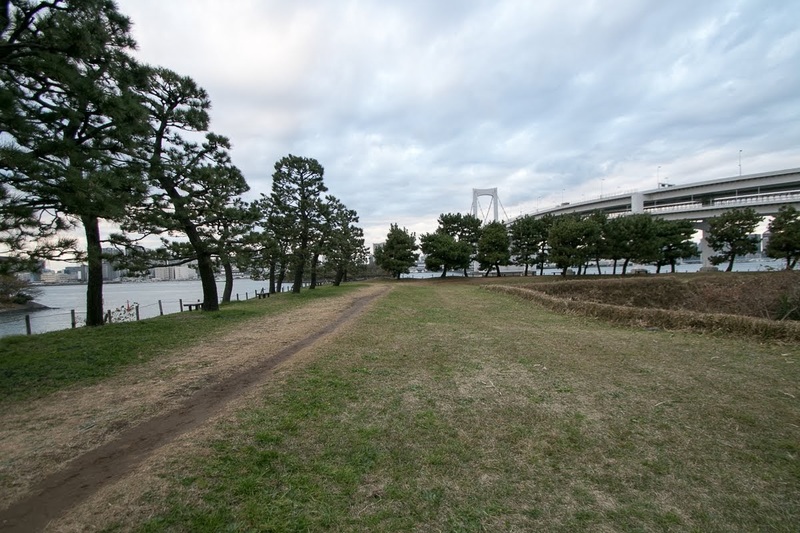 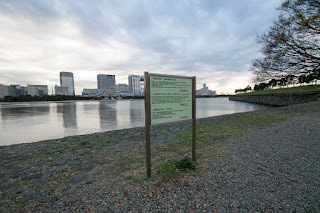 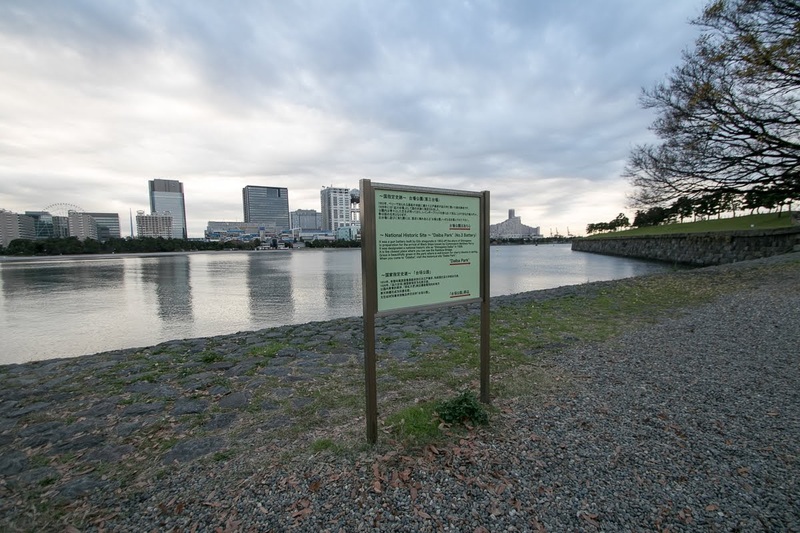 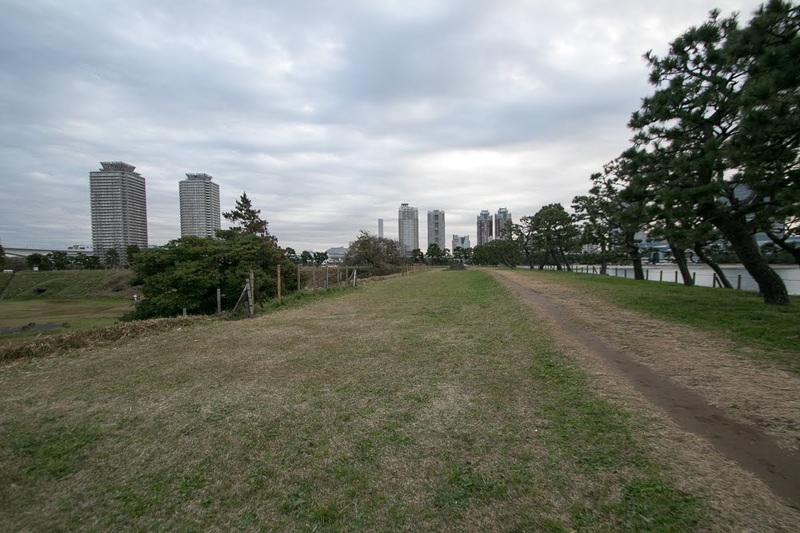 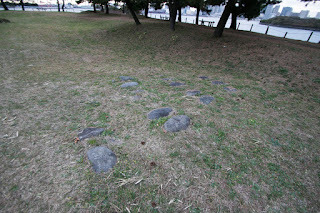 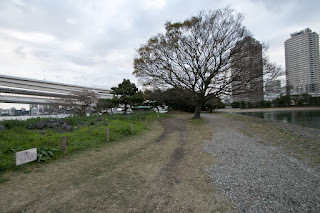 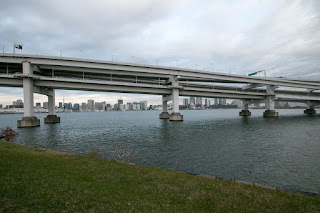 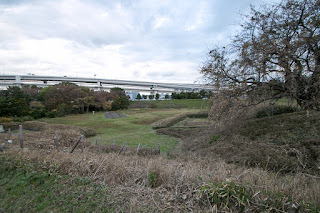 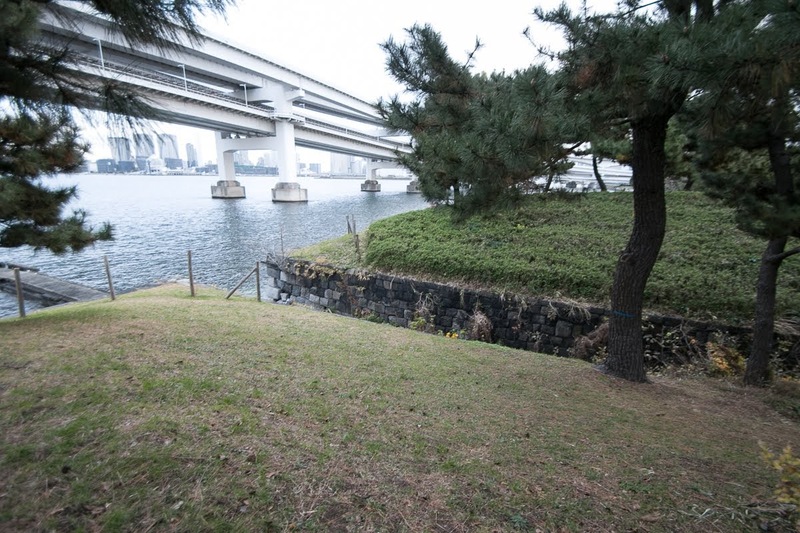 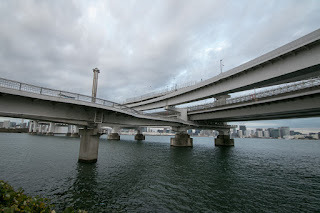 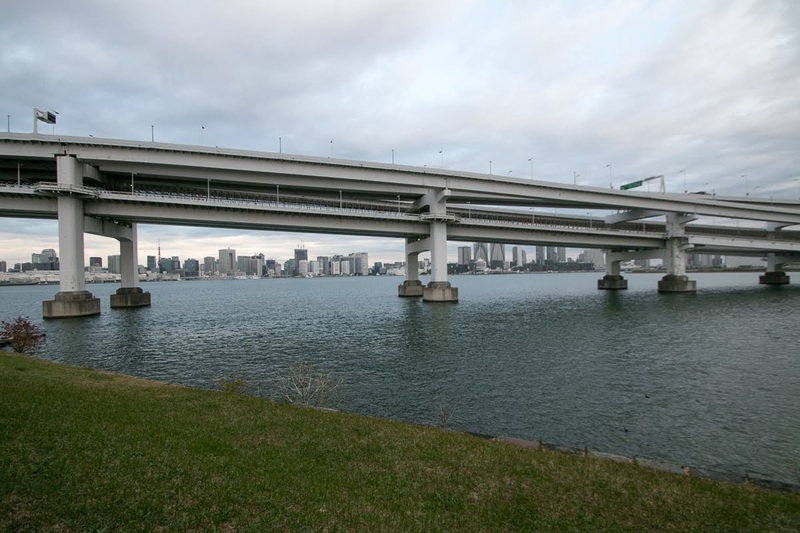 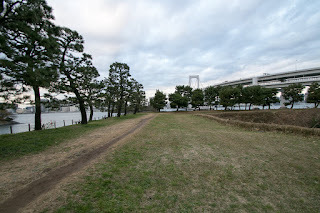 Now No.3 battery became the Odaiba Kaihin Park at the edge of Odaiba area, and No.6 battery is a off limit area with no connecting road. 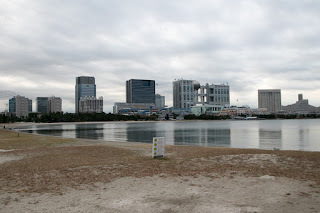 Looking at the buildings of Odaiba area which were ultramodern at 20 years ago from the battery, it reminds both of development from crisis situations and stagnations after that of Japan. 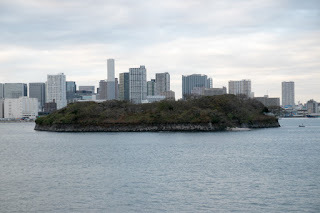 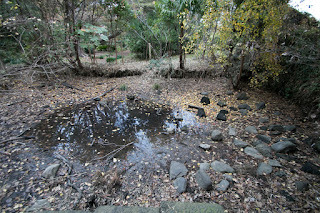 It is hoped that the battery can look next development of Japan and its capital. 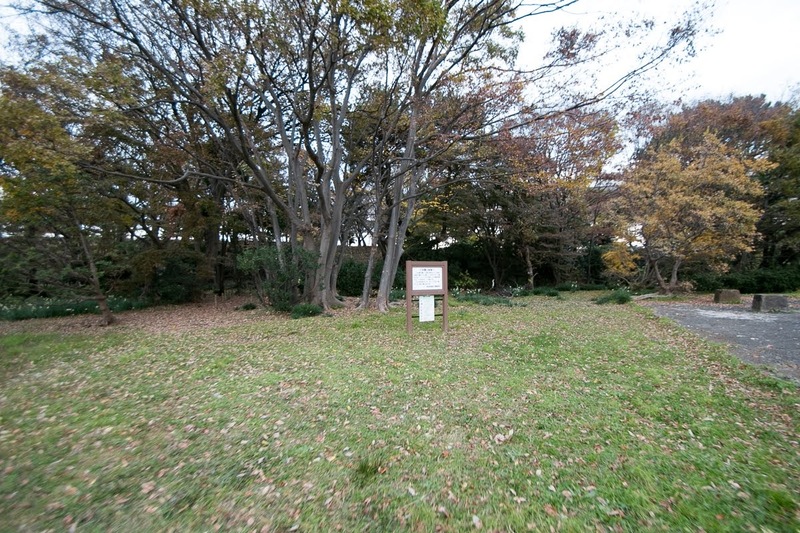 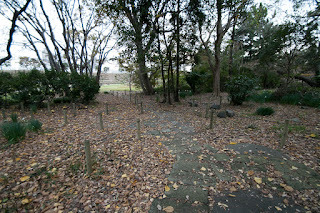 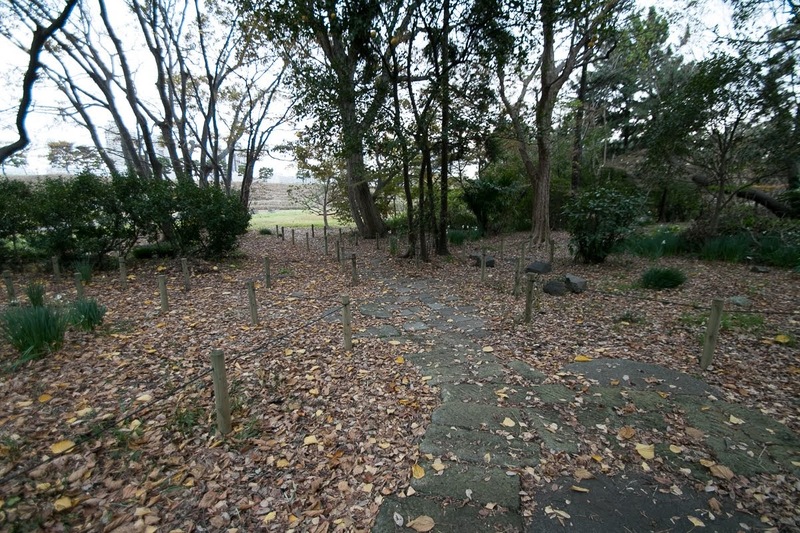 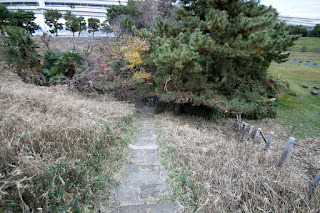 10 minutes walk from Yurikamome line Odaiba-Kaihinkouen station. 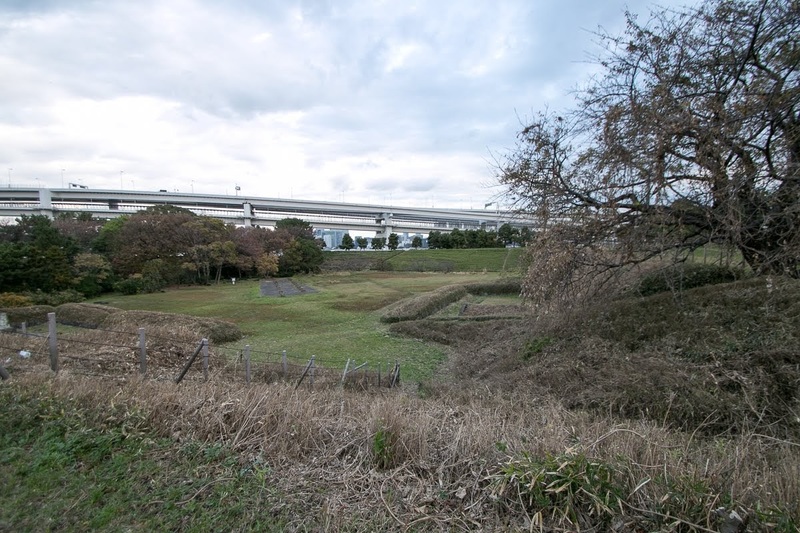 10 minutes drive from Shuto-ko Expressway Wangan-sen line Rinkai-Fukutoshin interchange.